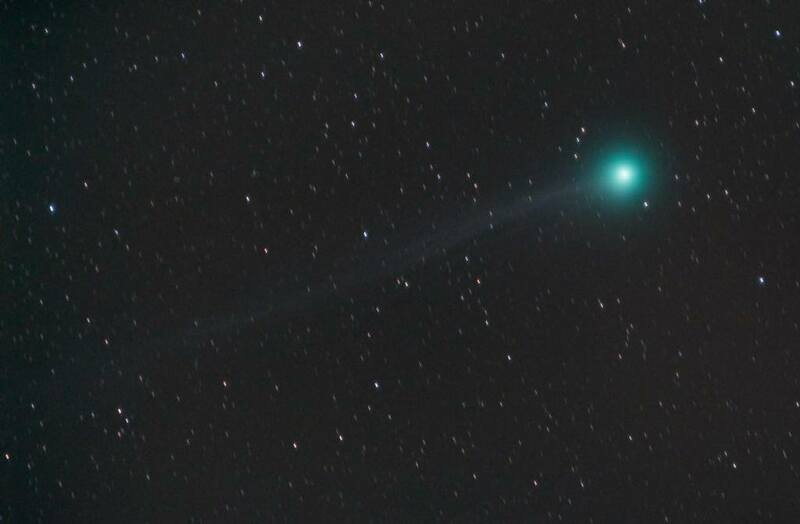 The biggest and darkest skies you’re likely to encounter are there, about 6 hours drive from the south bay. Lots of great amenities, friendly people, wonderful gracious and open locals in an interesting and little-visited part of the state. Last year’s obsidian hunting outing, led by Bob Czerwinski, was a fun highlight for me. I’d like to do it again. Lava Beds and Mount Lassen nearby are great day trips, as are the many hot springs in the area. I really encourage checking it out and making the effort to attend. It is MUCH easier to be there than the uninitiated think. 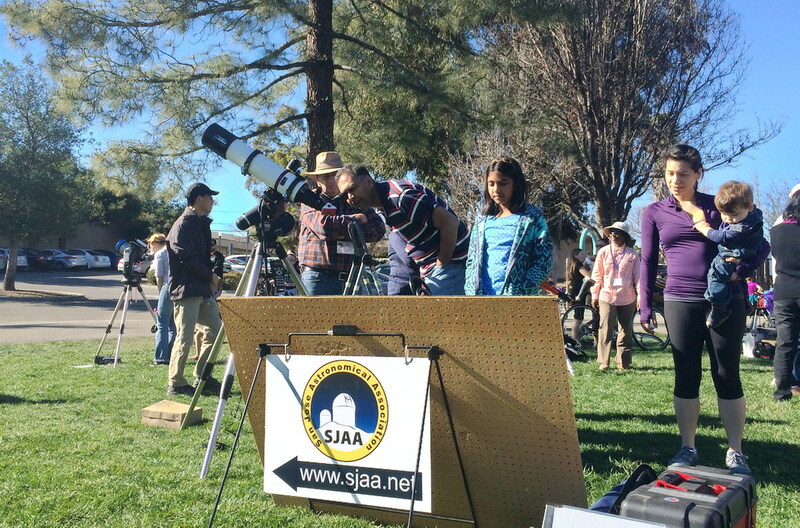 Today with a Sunspot Count of 193 (NOAA) and one huge massive H-Alpha flare, SJAA shared some stellar views with the public along the Los Gatos Creek Trail at Campbell Park. 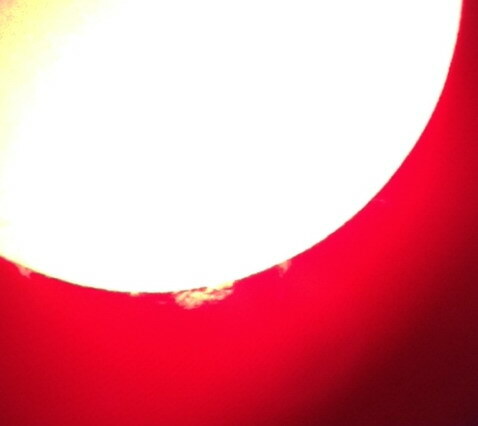 Justin Gallegos stopped by and snapped this iphone 4s image of today’s massive H-Alpha Flare. Thanks for sending our way! And below are more pics of today’s event. All in all, we had about 60 folks stop by. 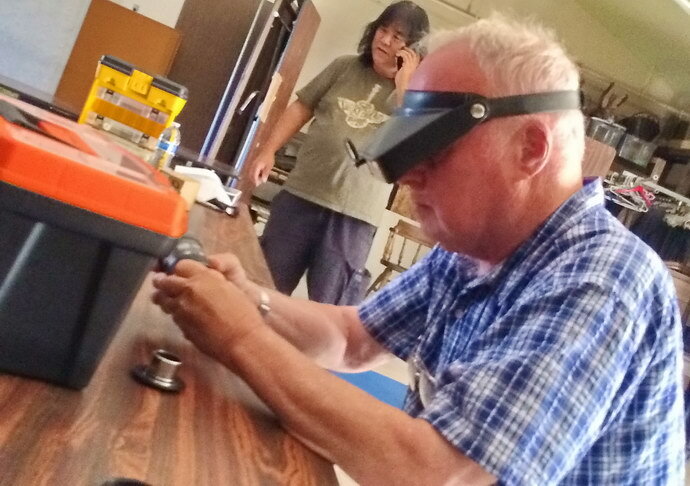 Kevin Lahey explaining the twisting of solar magnetic field at is 12″ Dob. A lot of bikers put the breaks on to take a view. 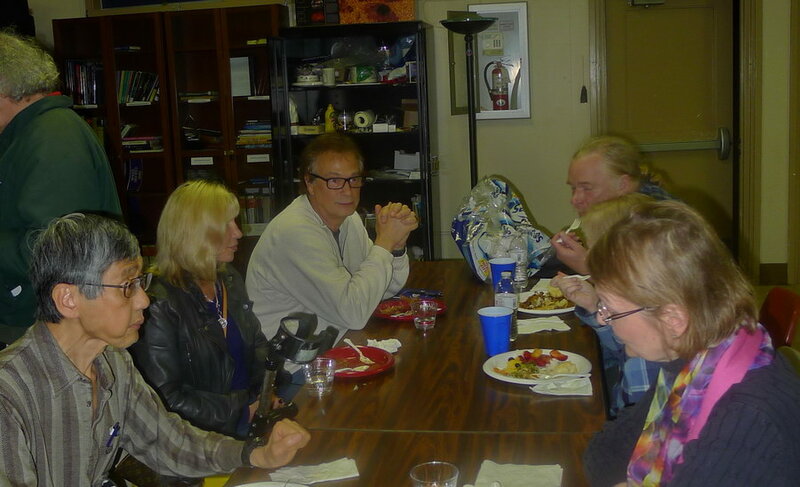 Wolf Witt explaining Solar Fusion. 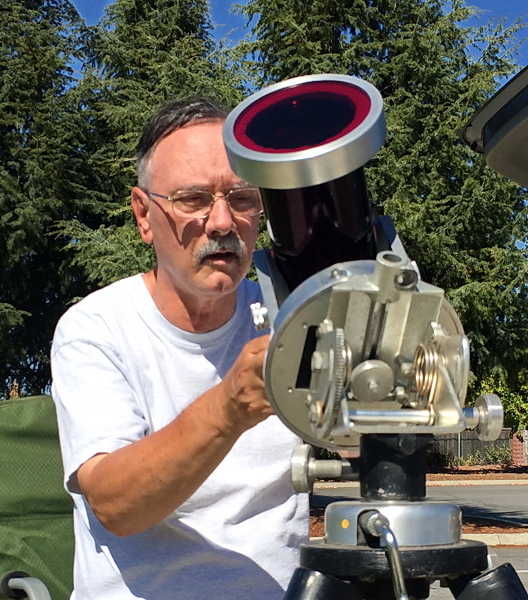 He brought out a 100mm Lunt H-Alpha. Bill O’Neil with a Mother And Daughter who stopped by. 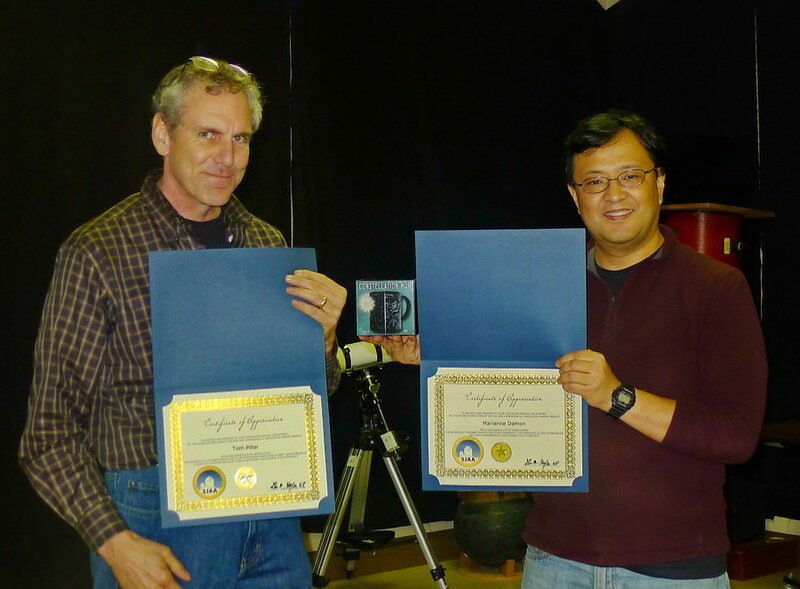 It is hard to believe SJAA and I have done Solar Astronomy for 3 Years. 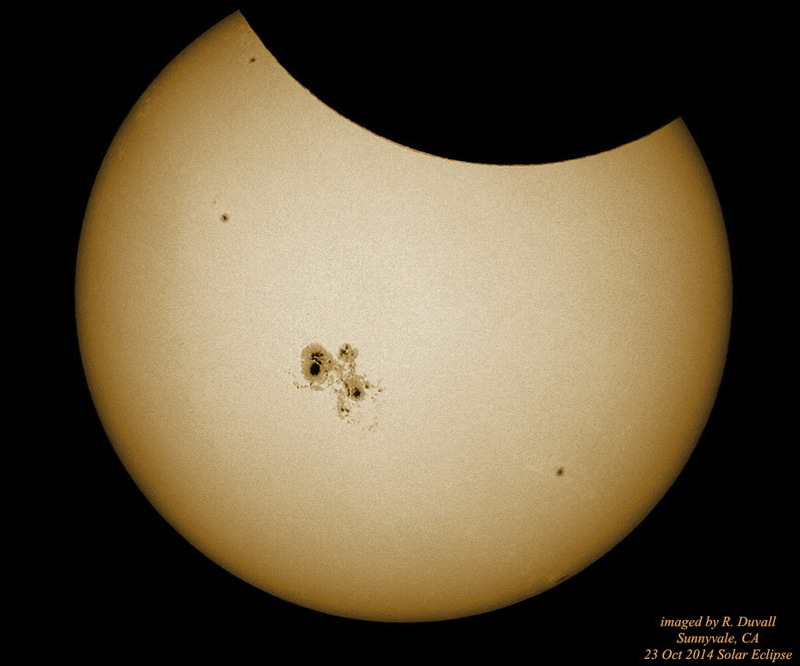 Every type of H-Alpha Flair observed – even ones yet classified, along with the biggest sunspot in 24 years, a transit of Venus no soul will see again in their lifetime and a rare California Anular Eclipse. 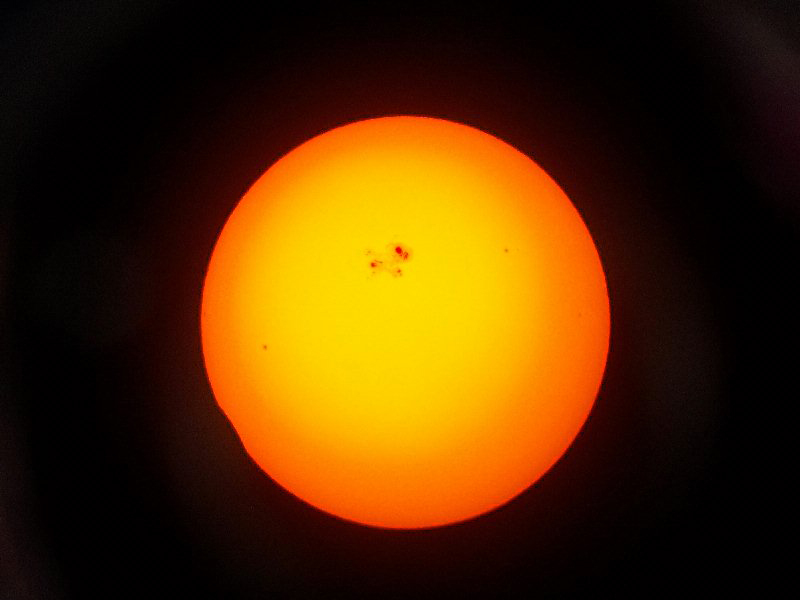 We have a Transit Of Mercury to Look forward to along with a Partial Eclipse which is a Total Eclipse of the Sun from Oregon to South Carolina. 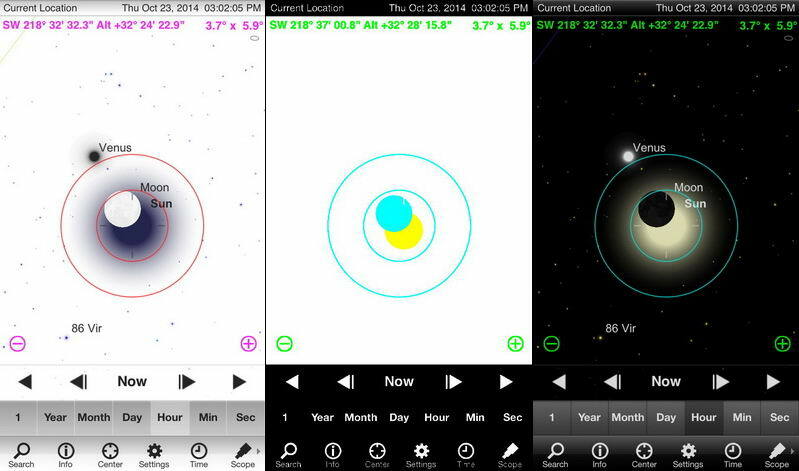 Today January 4, 2015 at 6:36 UTC (04:36 a.m. PST) the Earth was at perihelion, closest to the sun! 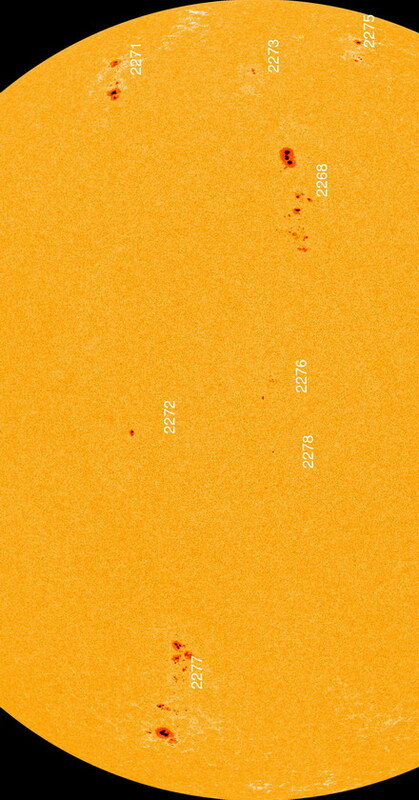 ** Also on this day a sunspot, AR2253, equal in width to the diameter of Jupiter was about smack in the middle for prime-time viewing!! But, alas, a blanket of clouds covered the sky made for a sparse viewing of this celestial culmination of events. Eh – not quite magical. 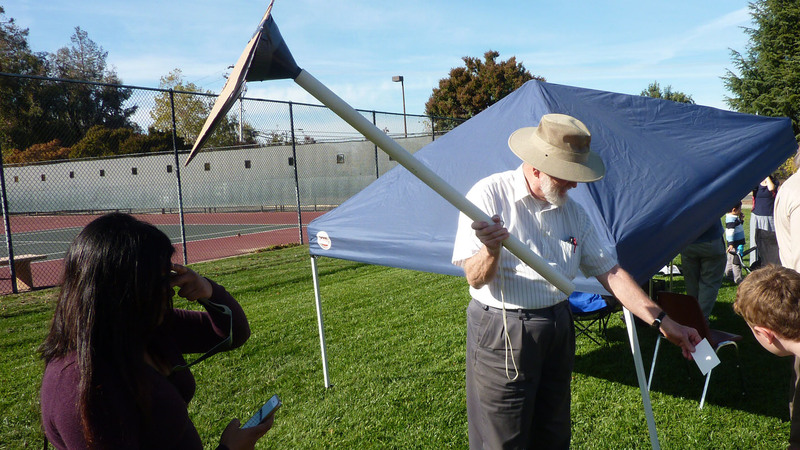 In fact we did not pull out the club’s H-Alpha, though Michael P. had his duel refactor set up, one side a H-Alpha 80, and Carl R. and Bill O had their SCTs. 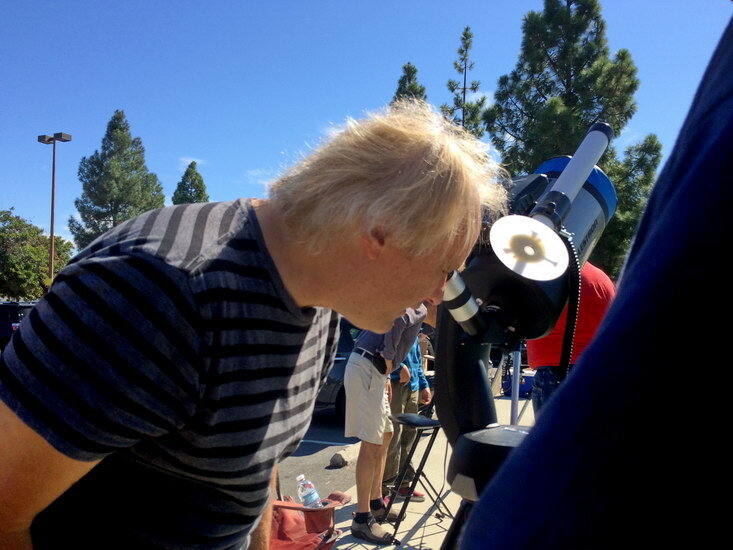 We, and about 10 visitors, did get to see the sunspots, all 78 of them (SIDC)*** and prominences but we had a few problems along the way aside from the clouds. 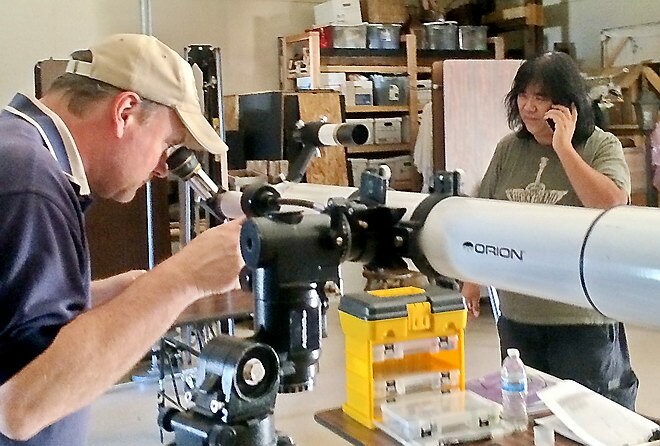 Michael in his zeal to show Carl where he screws on his continuum green filter, screwed up is duel scope alignment. 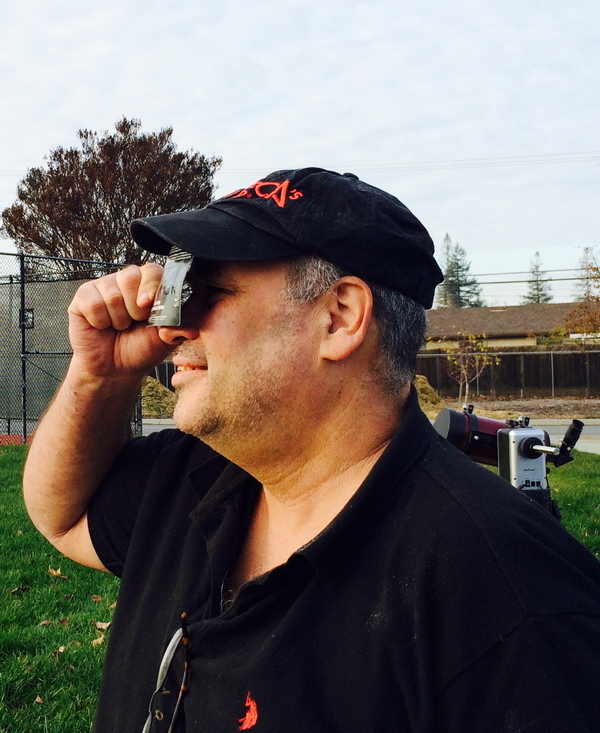 He’s lucky he didn’t loose a binoviewer to the effects of gravity at the scopes’ flip downward. And then Terry K. arrived. Now she correctly decided to not to bother pulling out her scopes but it wasn’t like she had a choice. Her trunk decided to lock along with her car keys inside. Nothing AAA could not handle in under 5 minutes. 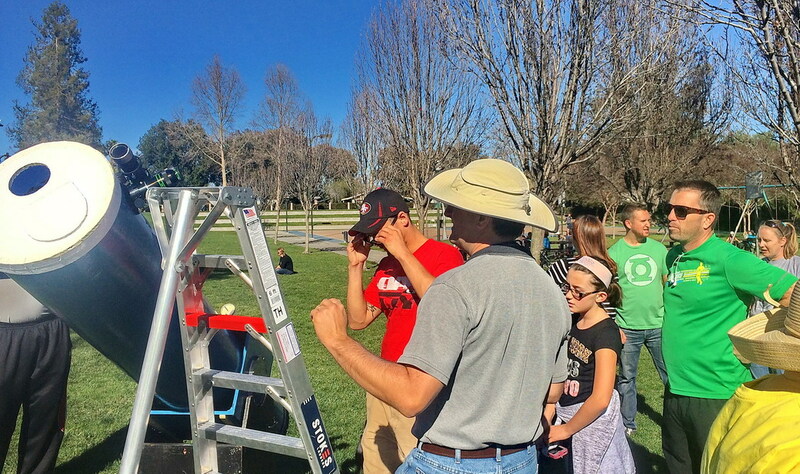 So even if first Sunday’s show was not entirely skyward we had enough entertainment here on Earth at Houge Park. Here are some pics of the day. 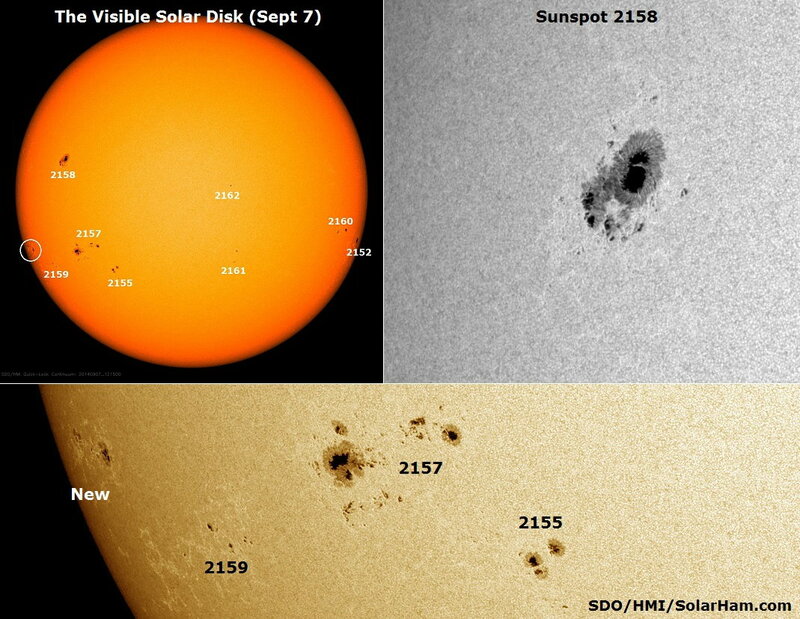 And if you have time – Check out Sunspot 2253!! !! !! 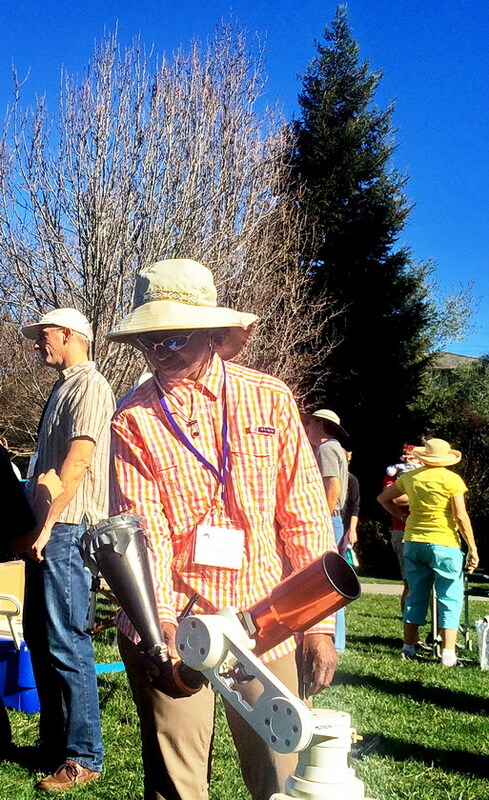 Michael Checking out Sunspot with Solar Glasses. 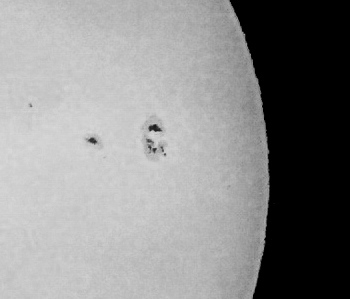 The Sun was not bright enough through clouds for 2253 to pop. 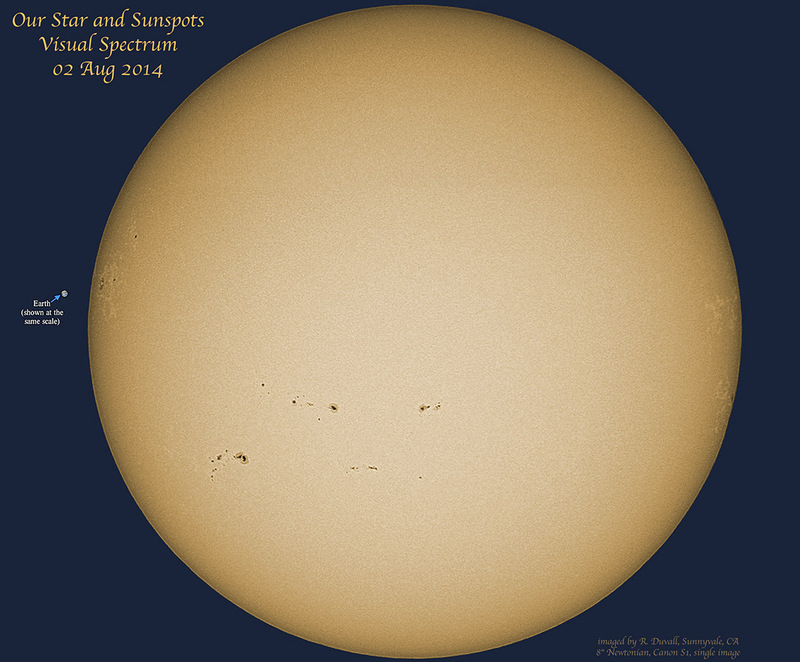 Look for this behemoth Monday, Tuesday, Wednesday if you got solar glasses and a patch of clear sky. Below Carl and Bill shooting the breeze. Below Bill and Wolf – not shooting the breeze at the moment. 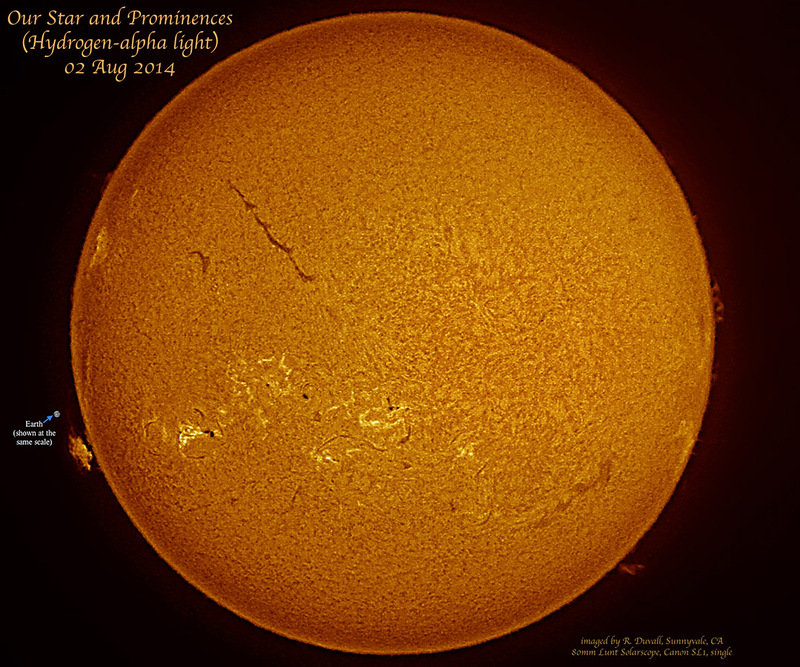 **The word perihelion is has Greek roots: peri meaning near and helios meaning sun. 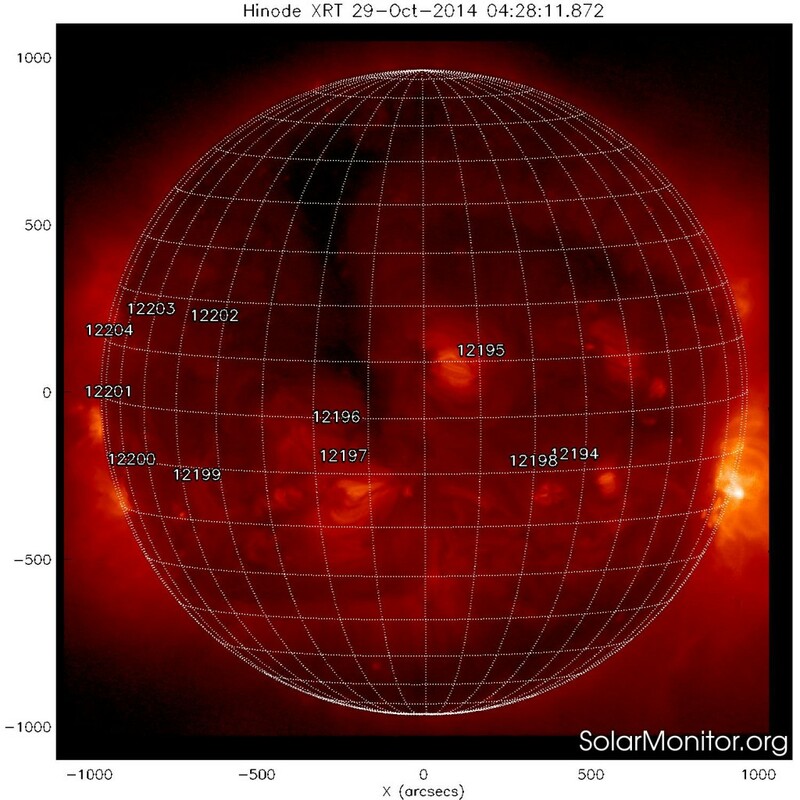 *** SDIC is Solar Influences Data analysis Center. 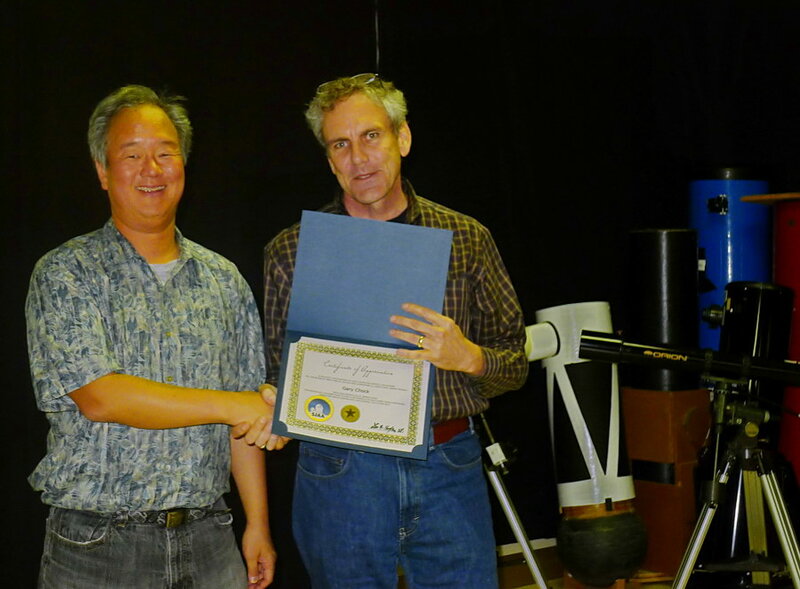 SDIC is the keeper of the International Sunspot Number. 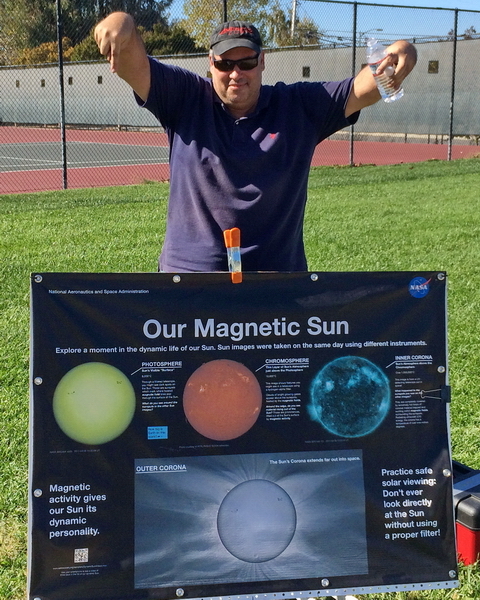 If you write in the comments where the SDIC resides, 1st commenter get a pair of solar glasses free. The Rosetta Lander, Philae, landed on 67P/Churyumov Gerasimenko on 12 November 2014. Before this could happen, a landing site had to be selected within just 2 months, based on data from the Rosetta Orbiter instruments and analyses on flight dynamics and illumination profiles. Philae was programmed to perform a First Scientific Sequence, immediately following touch down, and then enter its long term science mode. The paper will report on the actual landing and the very first results. The landing was successful, though the operational sequences had to be modified ad hoc: Philae did not anchor upon first touchdown at 15:34:06 UTC but rebounded at least once, finally settling – fully operating all the while – at a place not ideal for long-term science. A wealth of science data has been received. 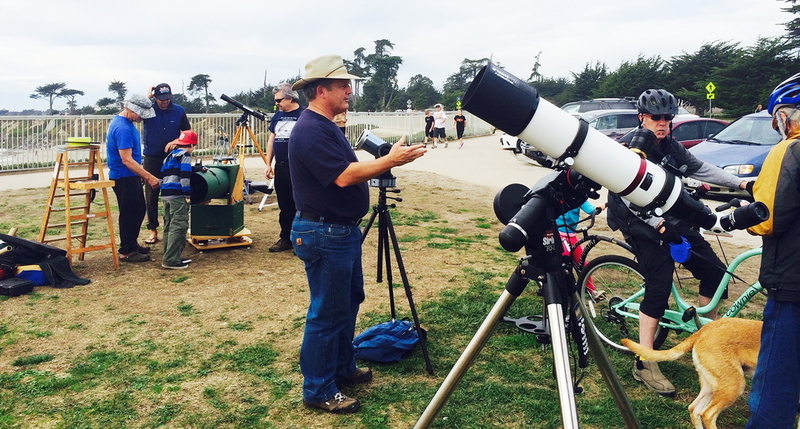 It would have been a glorious day had that sun just been around a bit longer but views turned to checking out scopes and talking to folks – with an ocean view in the background however. Here’s proof the sun was briefly out. 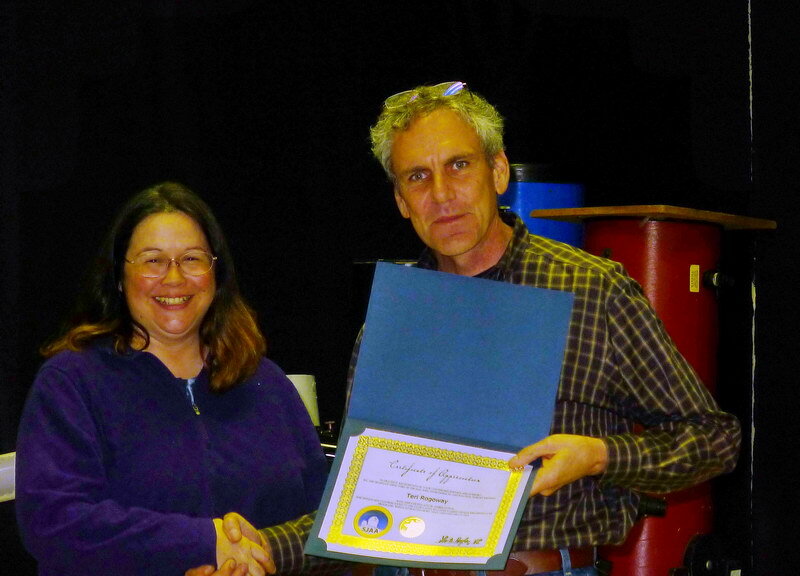 Thanks Bill Seiler for this photo. 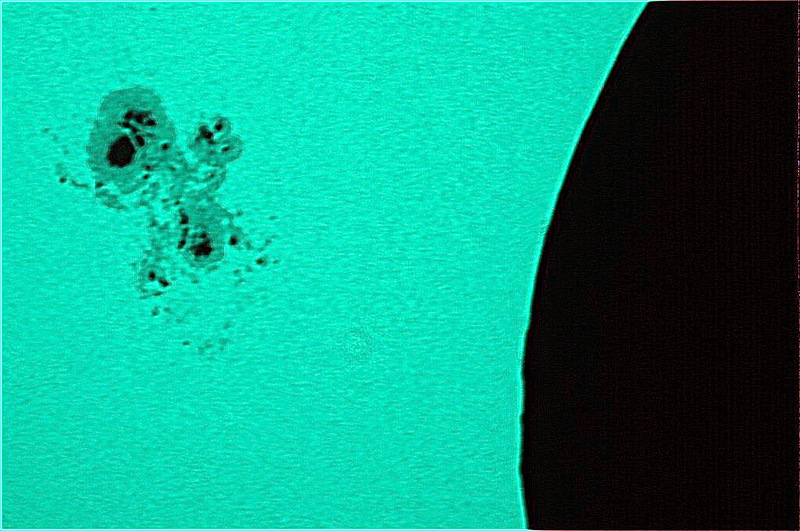 Along with Sunspot AR2192, re-numbered to AR2209 for its second trip around the sun, were two massive prominences – 100,000 by 80,000 miles easy in size. About a dozen folks got views of this stellar solar face before the clouds rolled over. 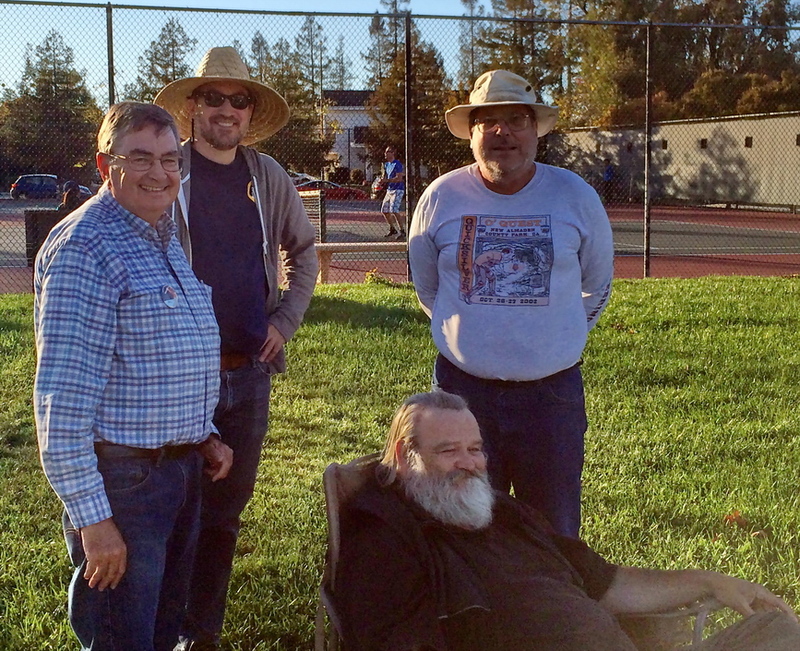 Along with Bill Seiler we had Michael Packer, Jeff Gose and John Pierce. 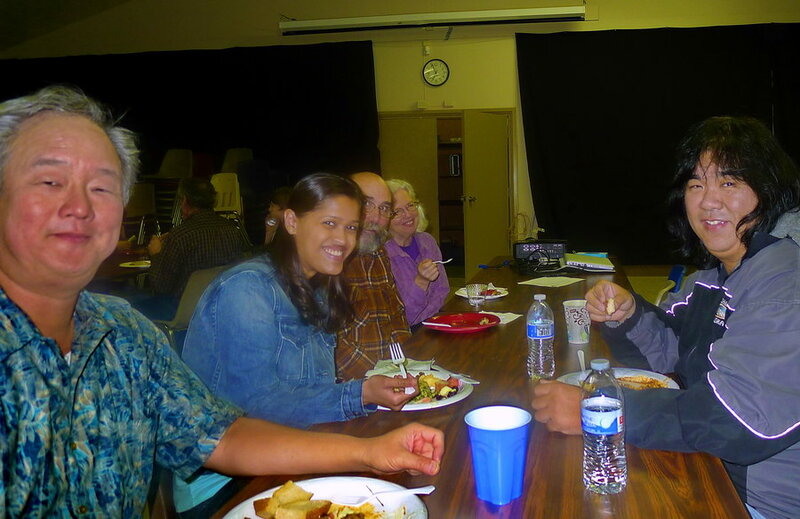 But I have to say it was great to have both clubs viewing together and collectively being able to do outreach for any Californian who walked by from Ocean Shores to North and South Bay. 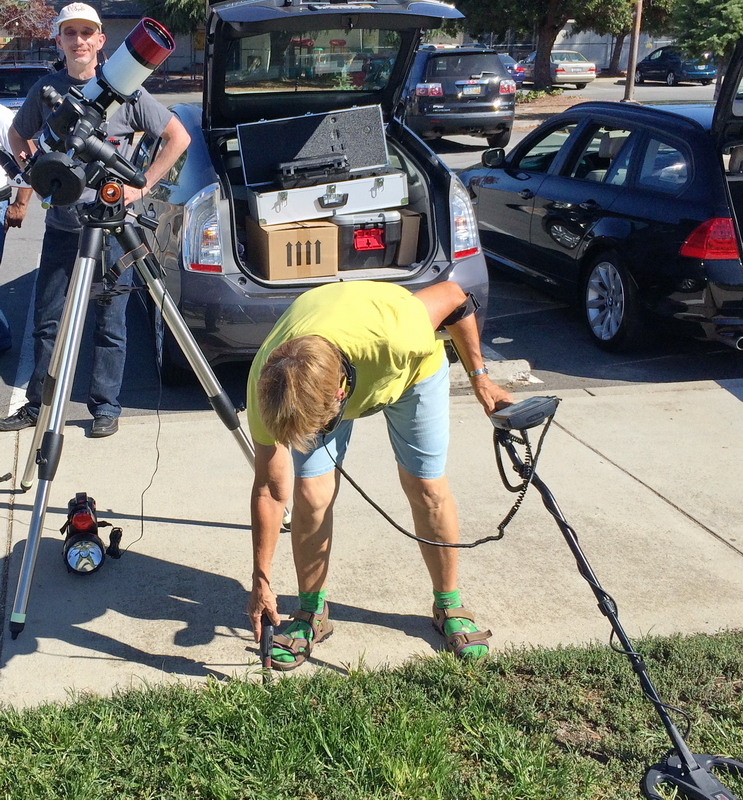 The Bike/Walking path is a great place to set up scopes for passerby’s. There is something beautiful about a swap meet that beckons back to the day of selling a sheep for wool coats. Shear Poetry Ha Ha Ha! 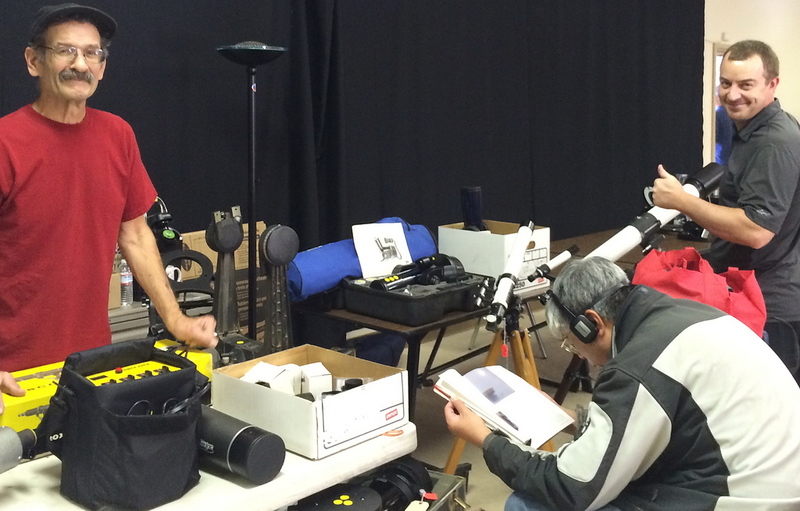 Well OK – anyway folks sold equipment that they no longer need to folks who can’t believe they’re walking home with telescope, eyepiece, tripod, binocular. 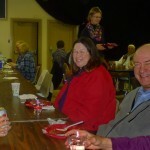 On the club side of things – SJAA provided pizza and drink – and we got donations. 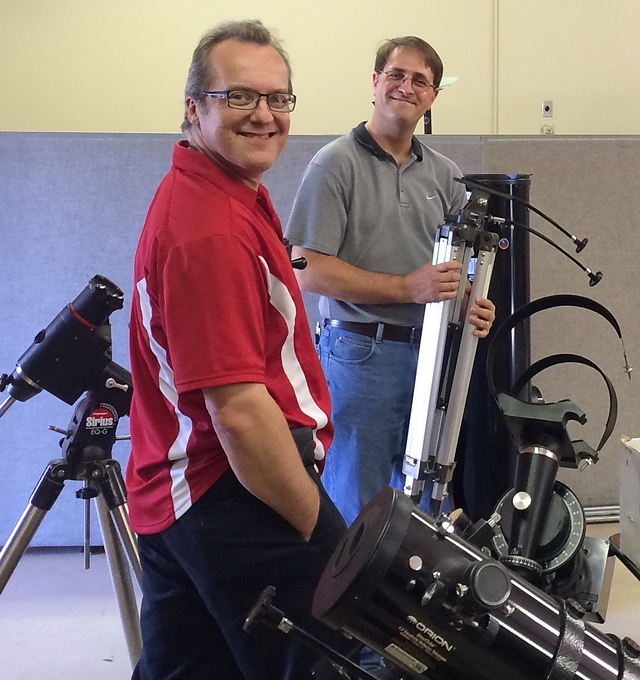 Stellar Cheers, Stellar Gear – Thanks go to all. 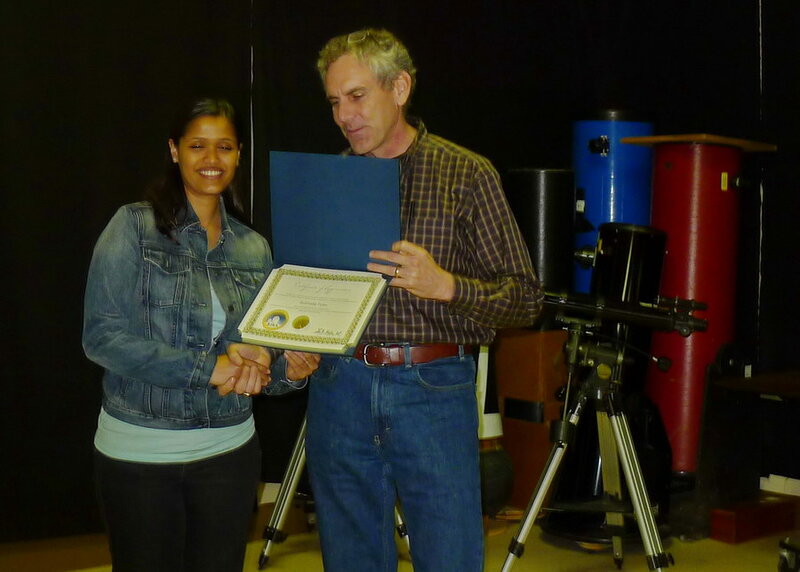 The Royal Astronomical Society of Canada publishes each year its Observer’s Handbook, which is a wonderful reference of astronomical data and phenomena of the year. Its target time period is mainly relevant for the year of publication, but much of its content is a wealth of information applicable to any time period of the epoch. 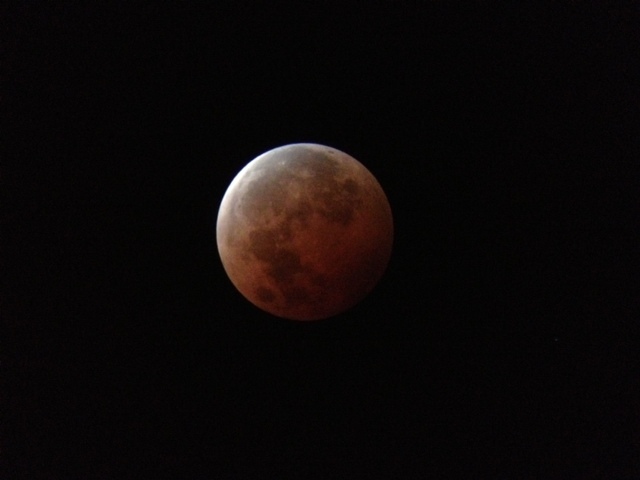 The 2014 RASC Handbook noted four eclipses of the year, a total lunar eclipse in mid-April followed by an annular solar eclipse two weeks later (which was visible only in the far southern and eastern hemispheres), then another total lunar eclipse in early October and finally a partial solar eclipse on 23 October. 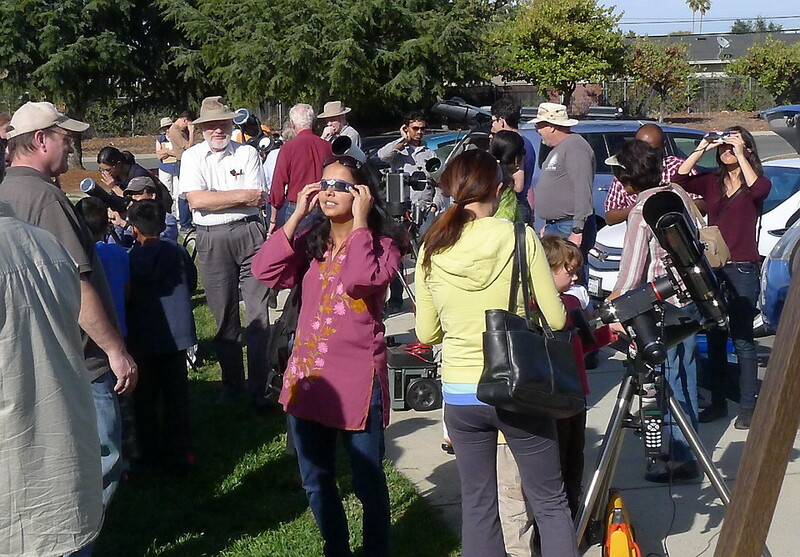 This last solar eclipse was well situated for us observers in the western edge of North America. 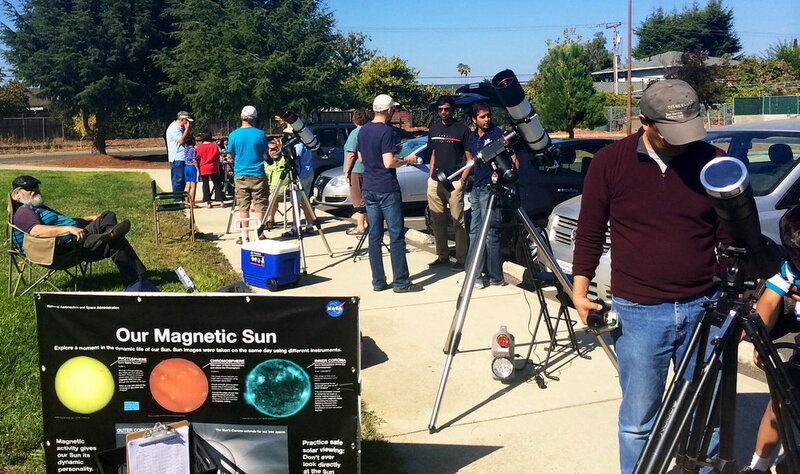 The San Jose Astronomical Association hosted an event at its base camp, San Jose’s Houge Park for this partial solar eclipse. 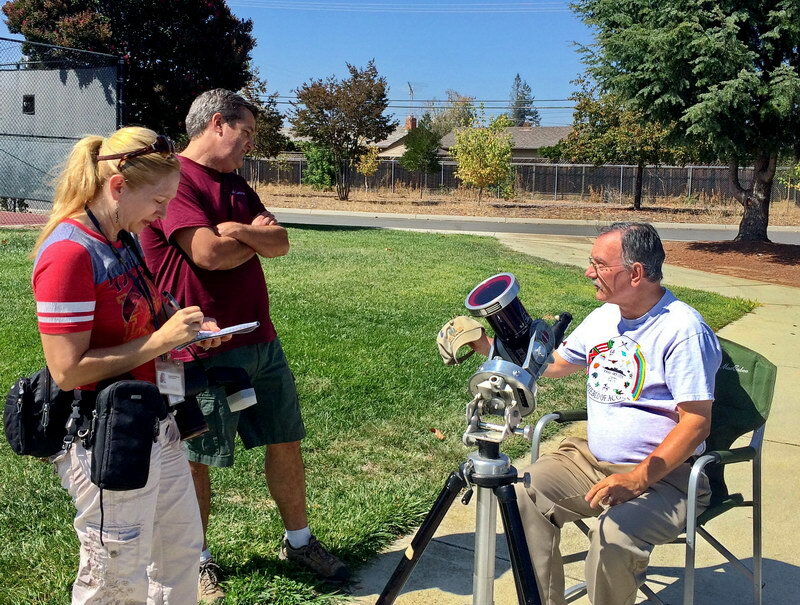 The objective is to allow people to safely view the eclipse, share views with each other and the public, and to simply socialize. 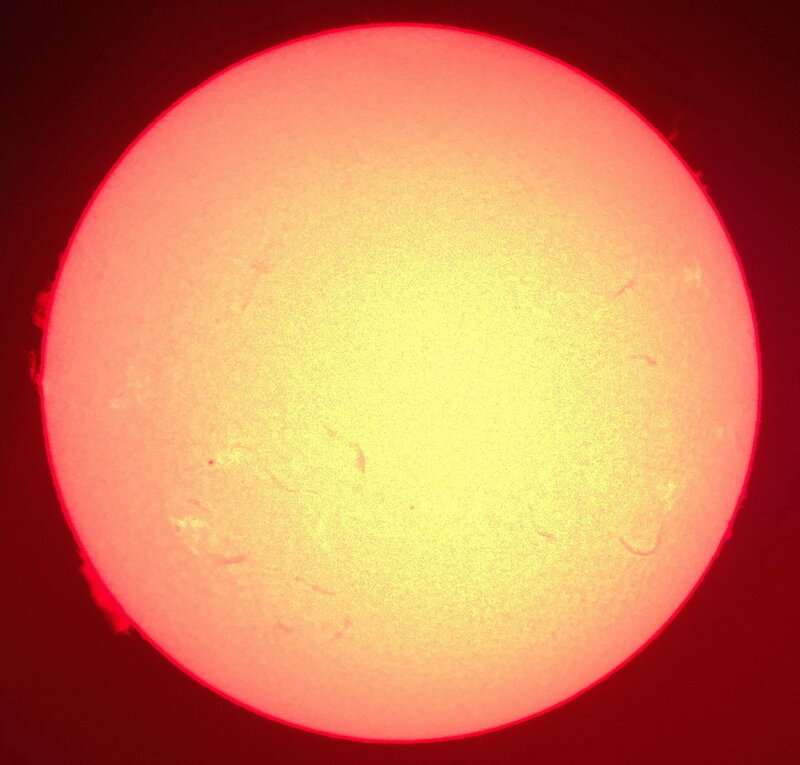 The club’s solar workhorse of a telescope, a 100mm hydrogen alpha scope made by Lunt, was doing its thing. 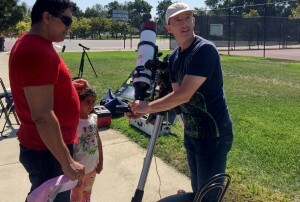 A host of other telescopes were set up by club members and other people, many of which had filters attached for safe viewing, or projection systems installed so that the image could be viewed by many people at once, not unlike viewing the event on a small smartphone screen. 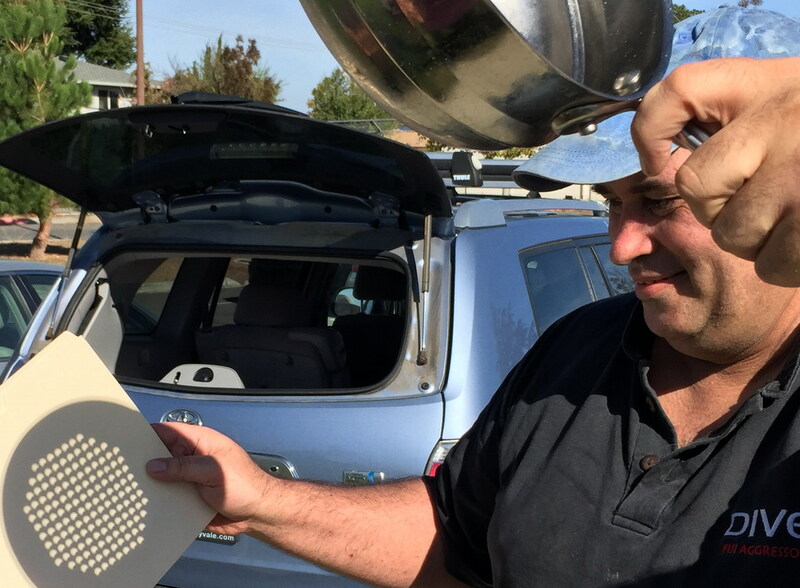 Some people even brought out colanders, ie, spaghetti strainers, the holes of which act as numerous pin hole cameras, projecting numerous crescent sun images onto the ground, a white piece of paper, or even a hand. 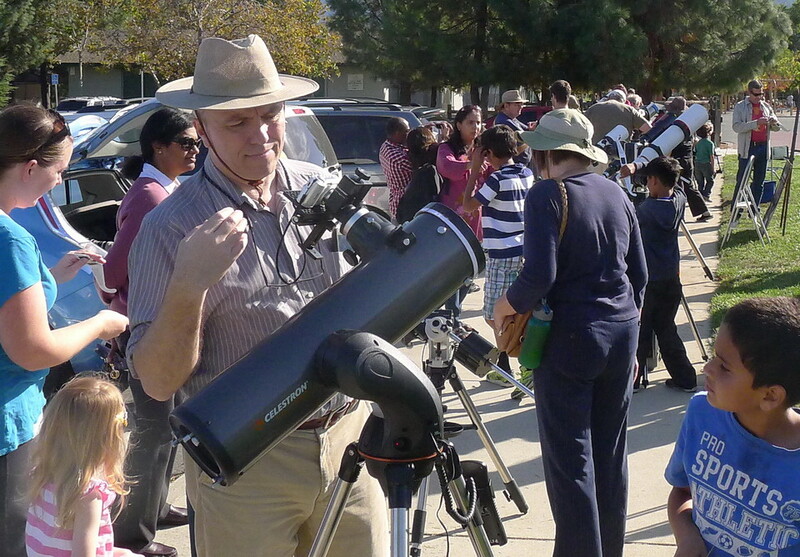 Special solar viewing glasses, which make it safe for people to look directly at the sun, were made available to all attendees. 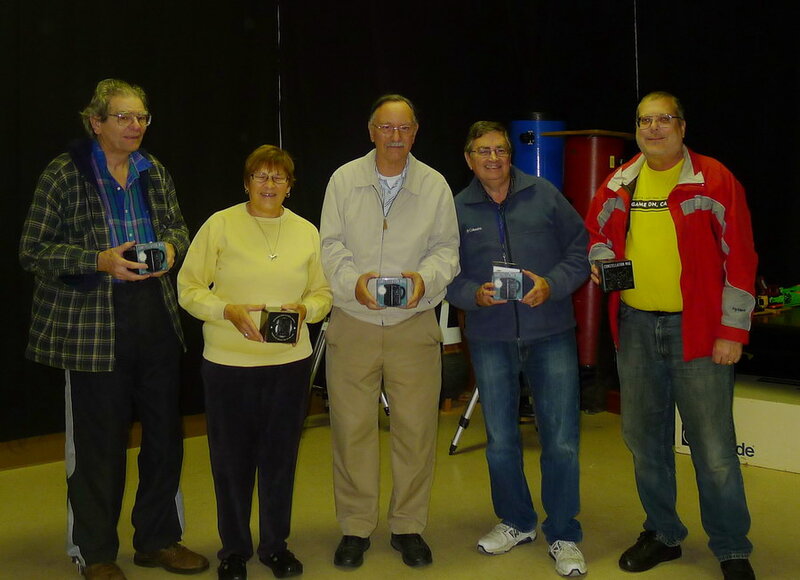 Kids and adults alike were able to wrap these glasses across their eyes and have a safe, direct view at anytime. 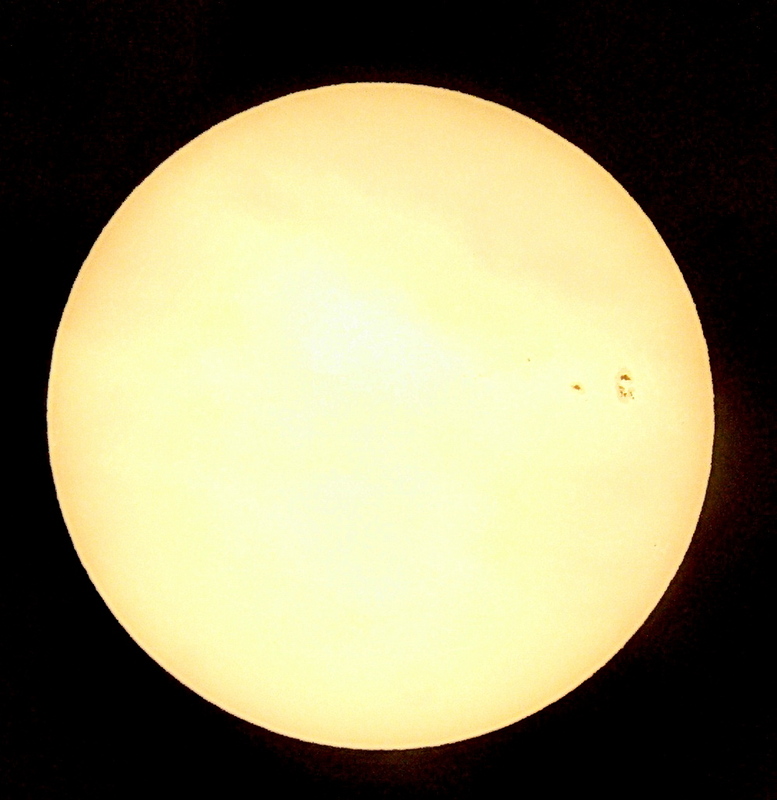 And when we did, we were treated not just to a portion of the moon covering the sun, but there was also an additional treat: An unusually enormous sunspot was clearly visible to the naked eye. 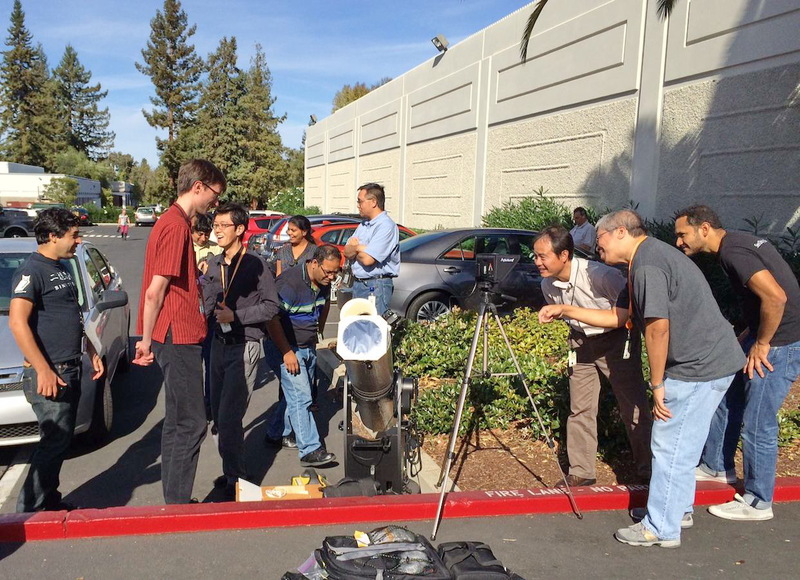 Everyone who knew what they were looking at could easily spot the aberration on the face of the sun. 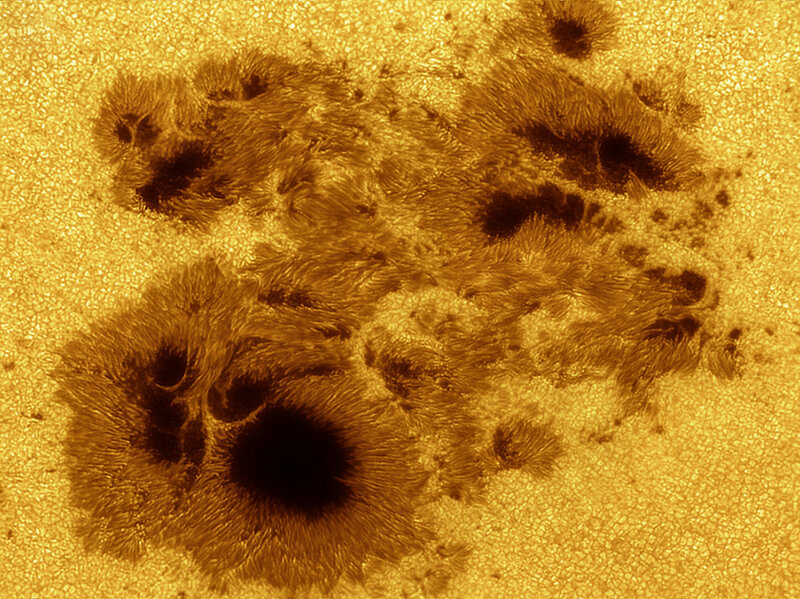 What made this special is that sunspots are typically much smaller, and not visible without some amount of magnification. 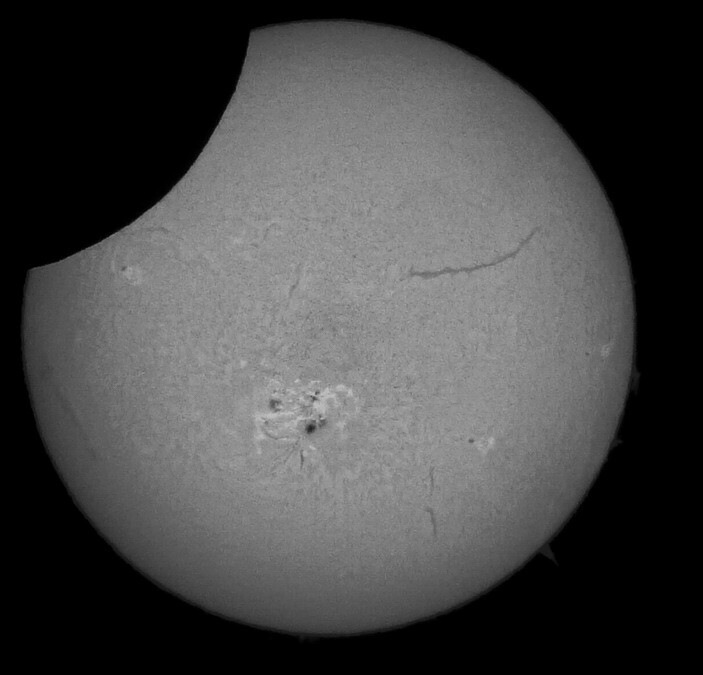 The eclipse today was accentuated by this sunspot, which did not at any time become obscured by the moon’s limb, and whose size is fairly rare. 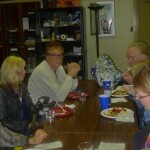 During the roughly three and a half hours of the event, an estimated seventy five people attended. 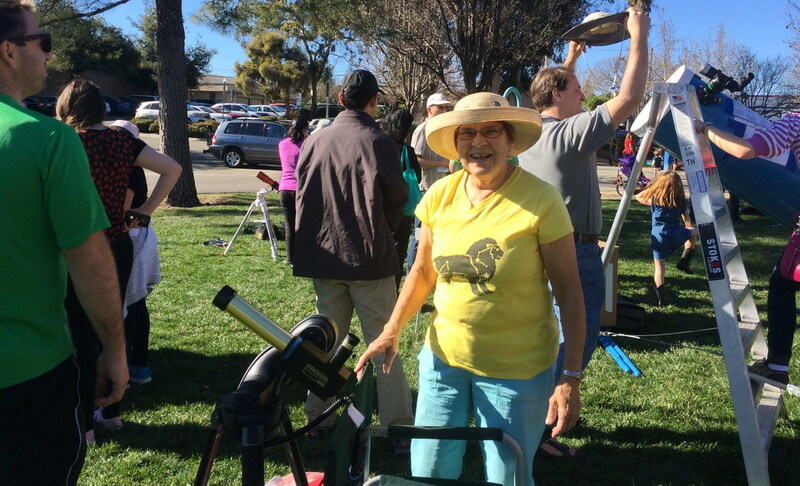 Some were seasoned amateur astronomers who were ready with their own equipment, while others were families that stumbled across the event and were invited over by friendly volunteers of the SJAA. 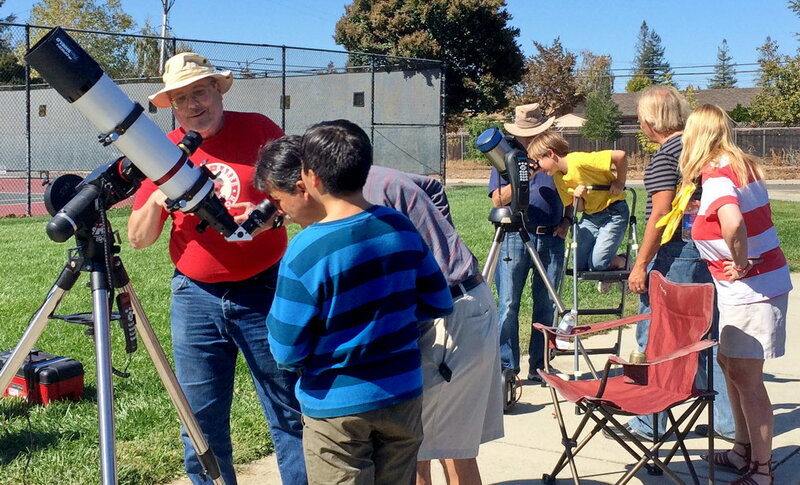 Kids and retirees alike viewed the eclipse (and sunspot) in amazement, while everyone enjoyed the mild autumn weather of northern California. 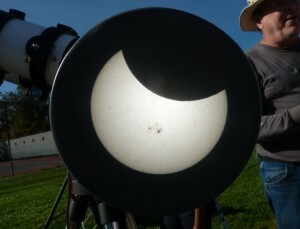 This will be the last solar eclipse that will be visible in California for the next few years. 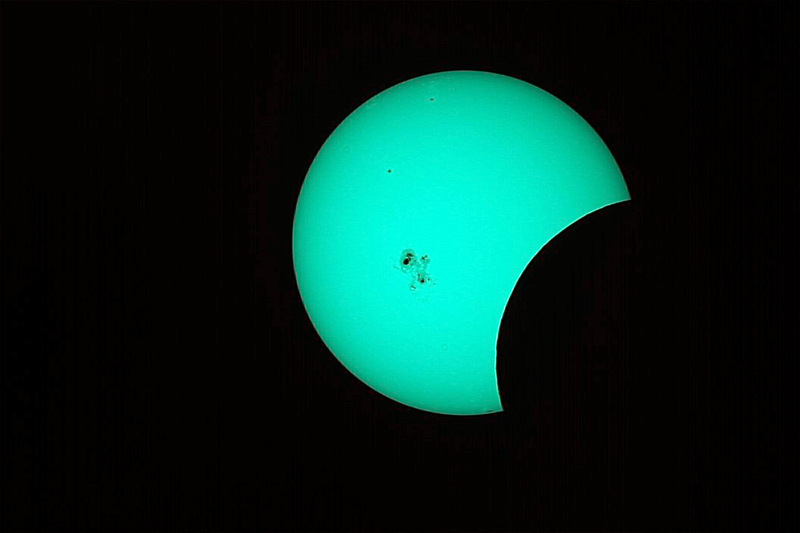 In August of 2017, however, a large swath of North America, in particular the United States, will host a total eclipse come through. This will be a highly anticipated event, so now is the time to plan for seeing this total eclipse, which should be on everyone’s list of thousand-things-to-do-before-you-die! 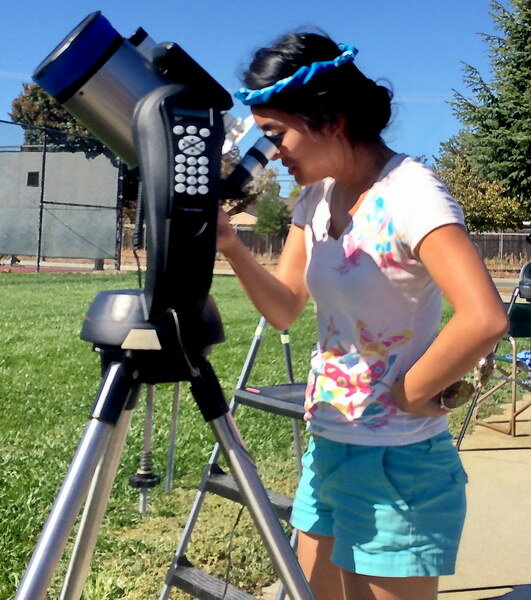 2014 Eclipse Pics: Send Us Yours! Send People Shots, Equipment Gear Shots ! 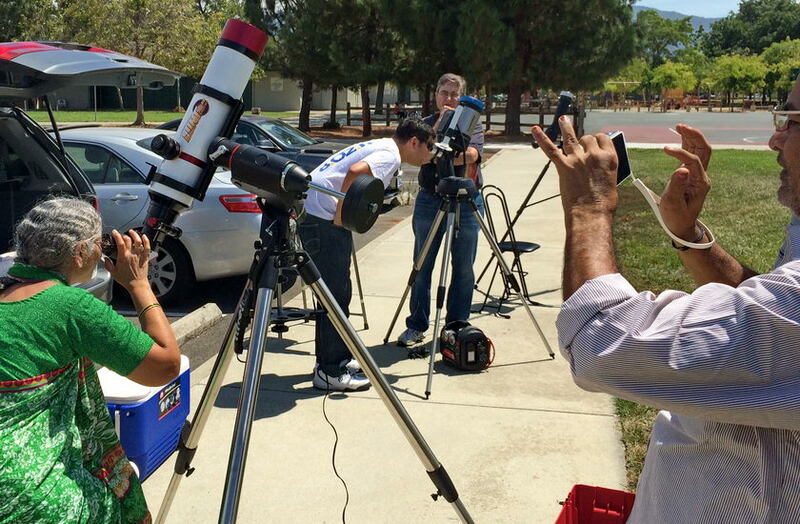 Send Eclipse, Sun Spots, and H-Alpha images ! !! CLICK IMAGES TO ENLARGE !! 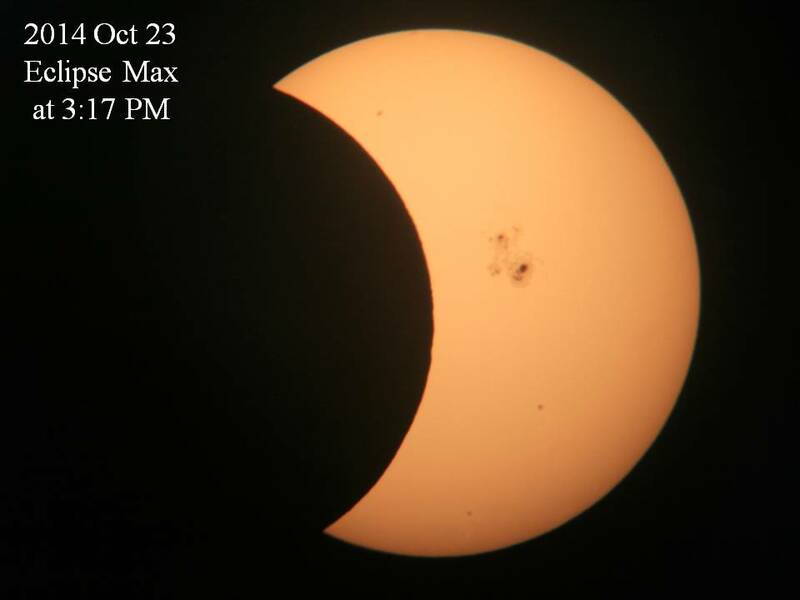 Credit to Frank Geefay for below time lapse. 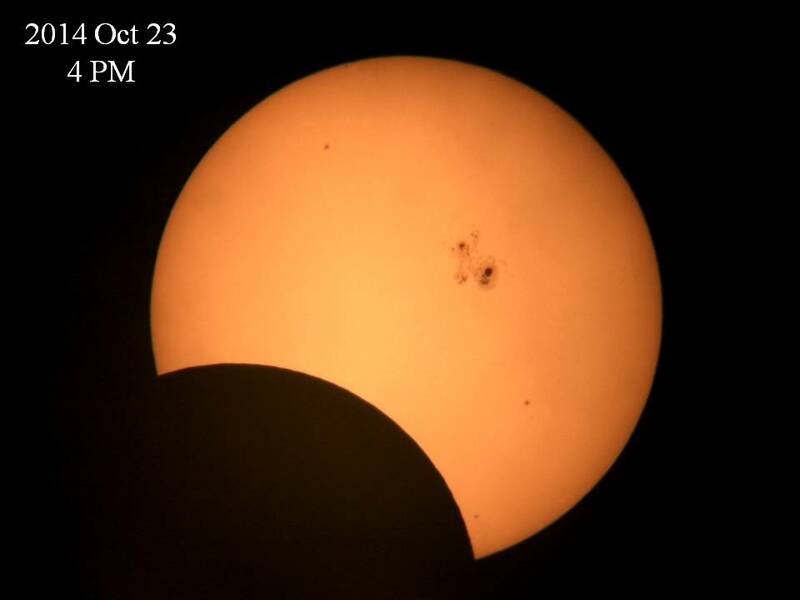 The moon will cover up to 38% of the sun this afternoon. 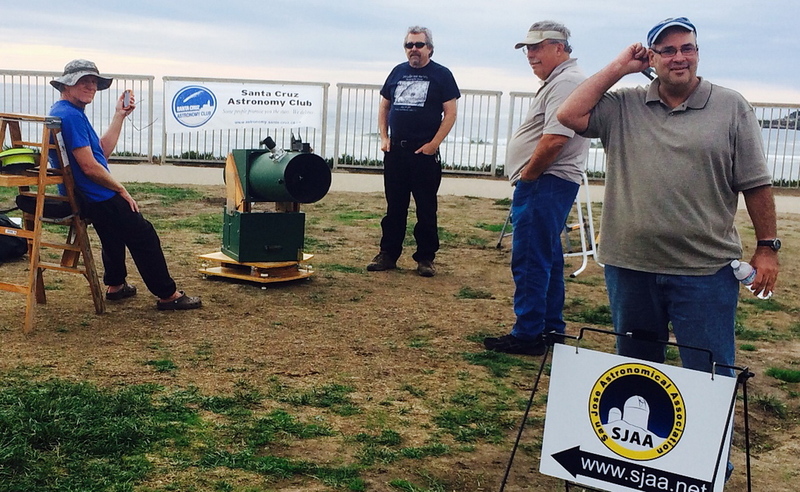 SJAA will be there with telescopes to see it. Join us, it’s free and open to all! That means kids and you! 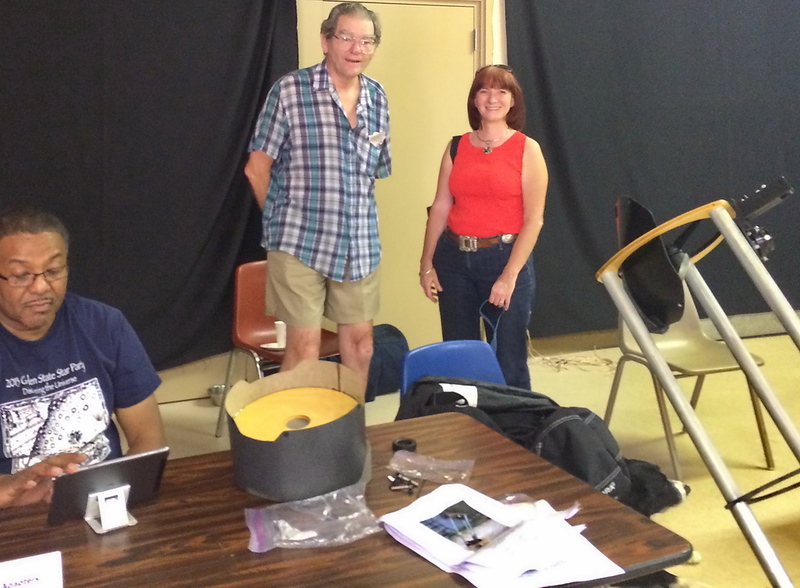 Check our Martian Landscape area, wind tunnels, labs…. 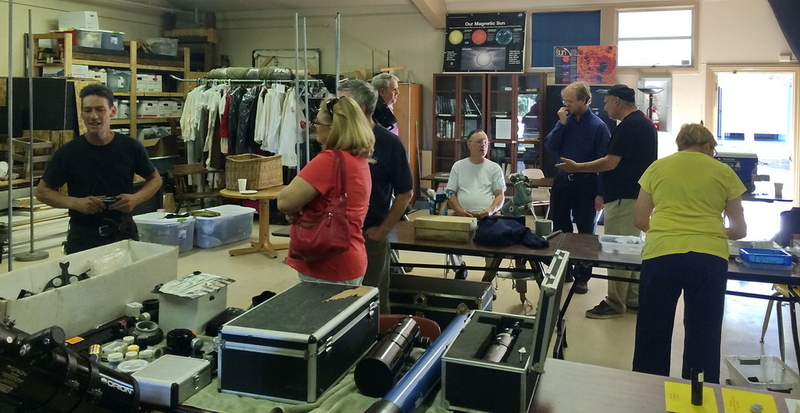 Here’s a report on our visit to Grandview Campground on Tue & Wed July 22-23, 2014. 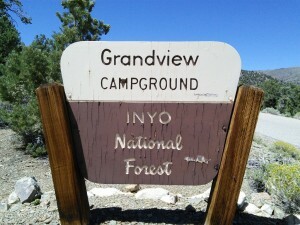 Grandview Campground is in Inyo National Forest on the way up to the Ancient Bristlecone Pine Forest. 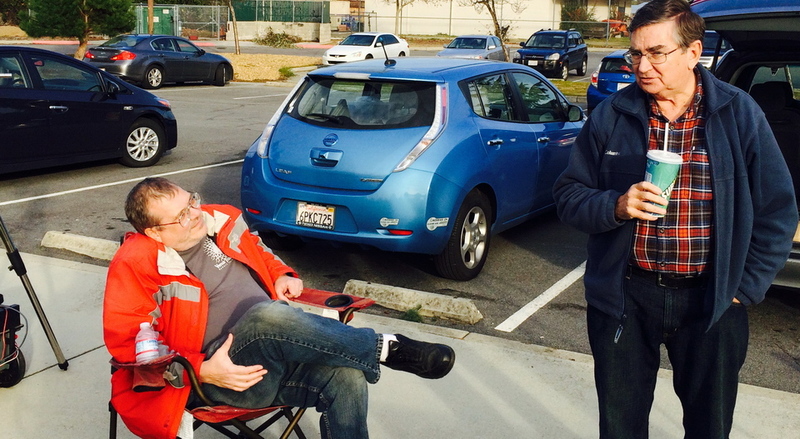 It is about 8 to 9 hours from the Bay Area depending on your driving pace. 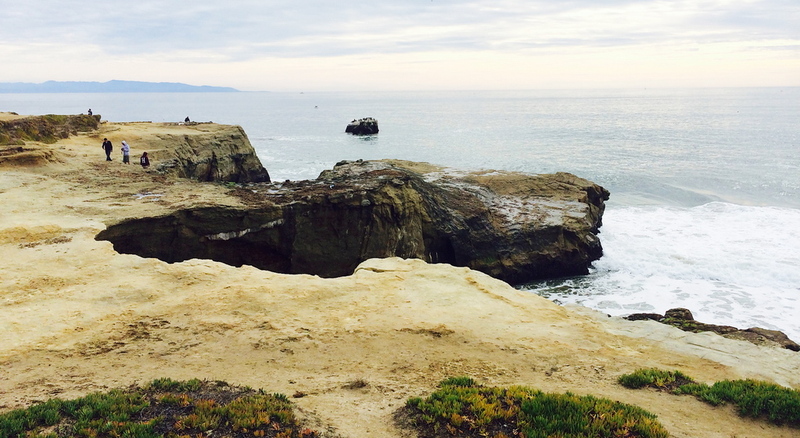 It is at 8560′ elevation. There are 26 campsites nicely spaced with trees between offering privacy and shielding from other camper’s lights and campfires. No water, pack your trash. At least 3 vault toilets. At this altitude, the only wildlife problems seem to be squirrels (no bears). Weather-wise, we were lucky. A monsoonal weather pattern was in place over the Sierras for ~2 weeks and dissipated just before we left the Bay Area. It reformed Sat July 26 after we left. While Bishop was baking in 105 degrees in the daytime, Grandview was in the 80’s in the daytime and in the 50’s overnight. To the left is a photo of the north horizon at campsite 4. 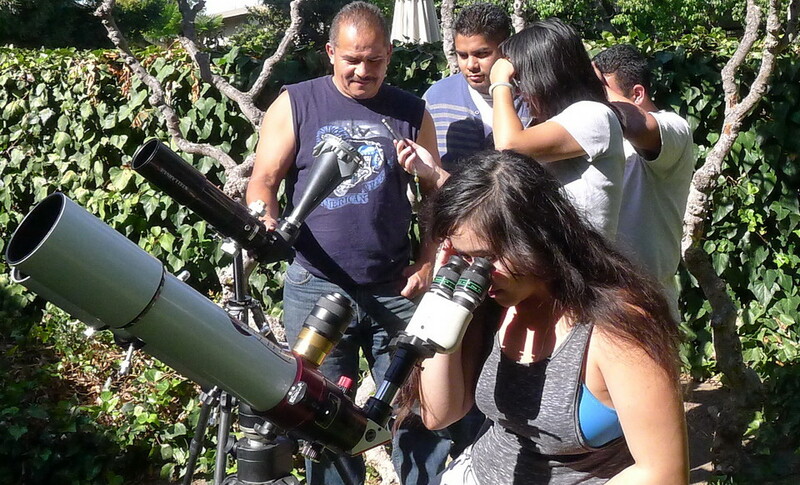 Seeing and transparency was excellent for the nights we observed. Great horizon-to-horizon views of the Milky Way. 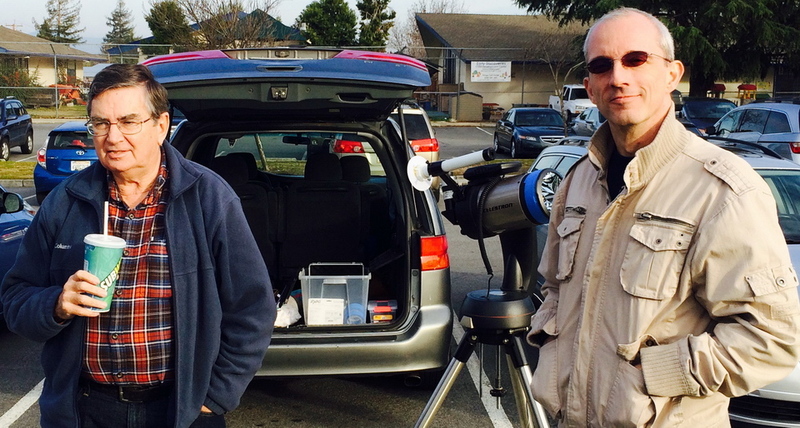 We easily viewed dark nebula. 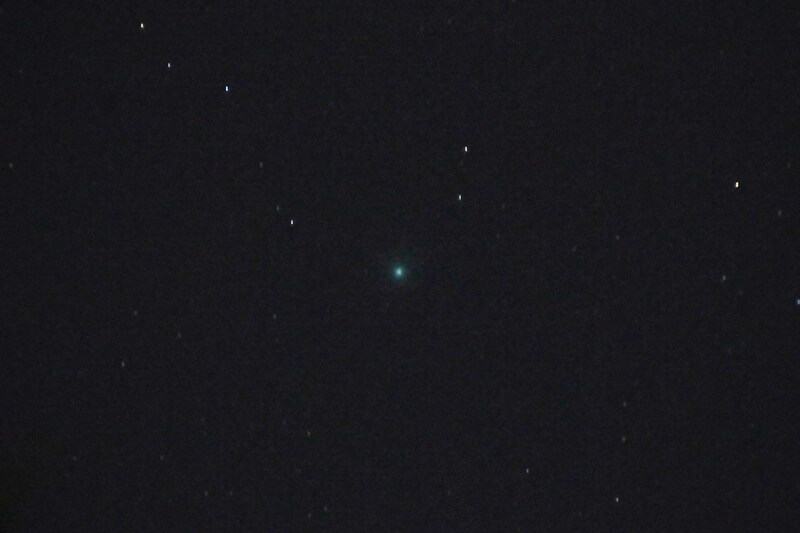 Barnard’s E near Altair. 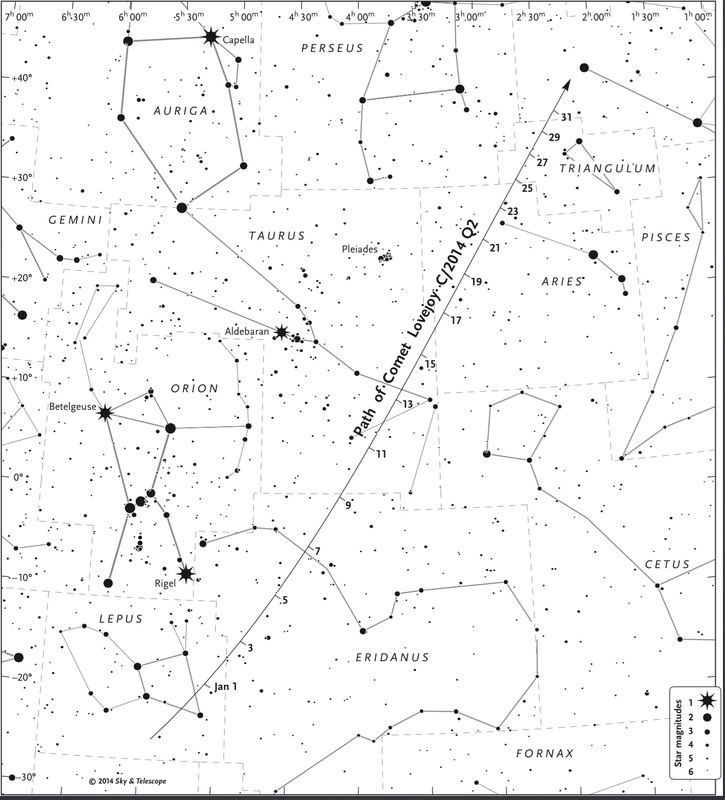 Also the cloudiness around the Sagittarius Star Cloud was well defined. M31 Andromeda Galaxy was wide and ethereal with M32 and M110 in view. 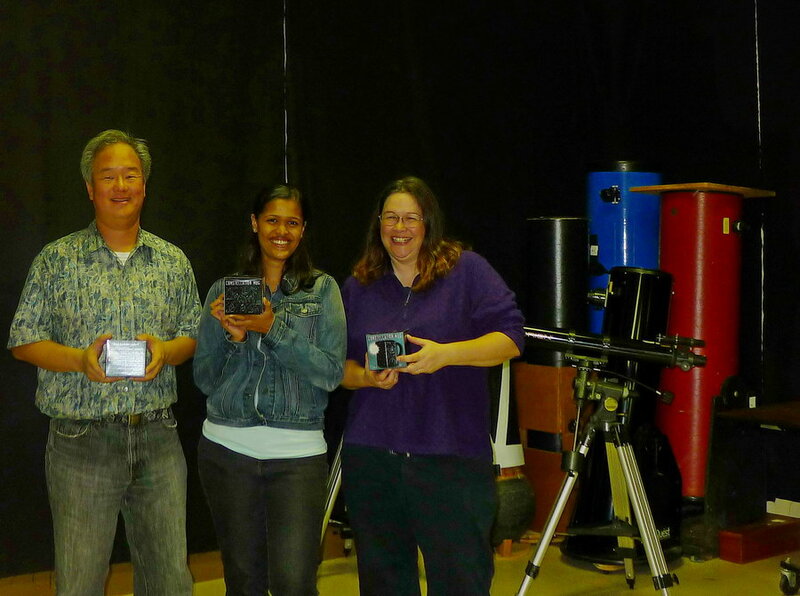 We met up with some astronomers from Southern California – visual and imagers. 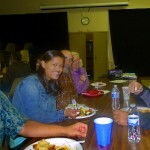 They visit regularly, traveling from Orange County and Tehachapi. 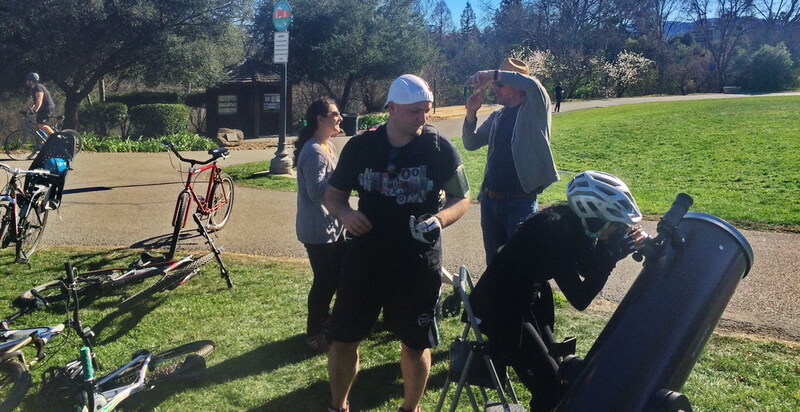 While we experienced great weather, seeing, and transparency, they mentioned times it got down to 16 degrees. Other times windy. I will keep in mind Grandview for a revisit, planning on keeping things flexible and check the weather a lot. 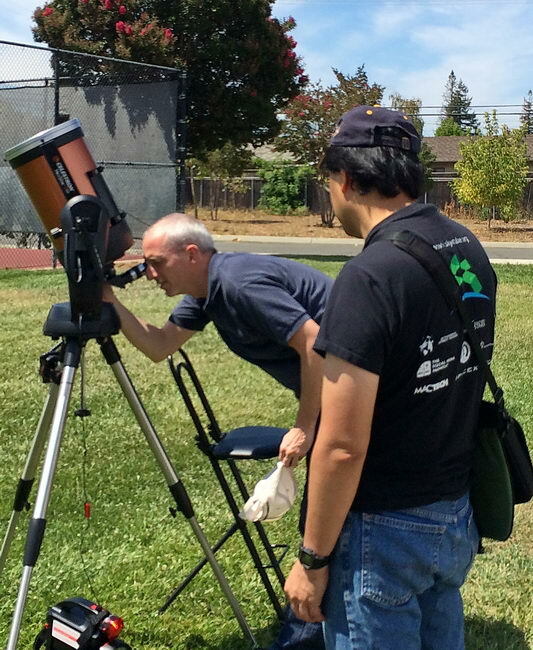 Hopefully synchronizing excellent weather, seeing, and transparency. Here are convenient links for checking. There are two observations I enjoyed that exemplified to me the excellent dark skies we had at Grandview Campground. Viewing M7 Ptolemy’s Cluster with my 20×80 binoculars, the stars of this splendid open cluster were brilliant points in a dark field that seemed to be suspended in three dimensions. The binocular-mind integration effect seemed to connect the star-vertices with faint blue filaments. Stunning. Viewing M13 The Great Hercules Cluster with my 10″ Dob, the stars of this spectacular globular cluster were fine pinpoints in a velvety dark field. My mind connected these points, arranging them in three dimensions as facets of a diamond. Wondrous. 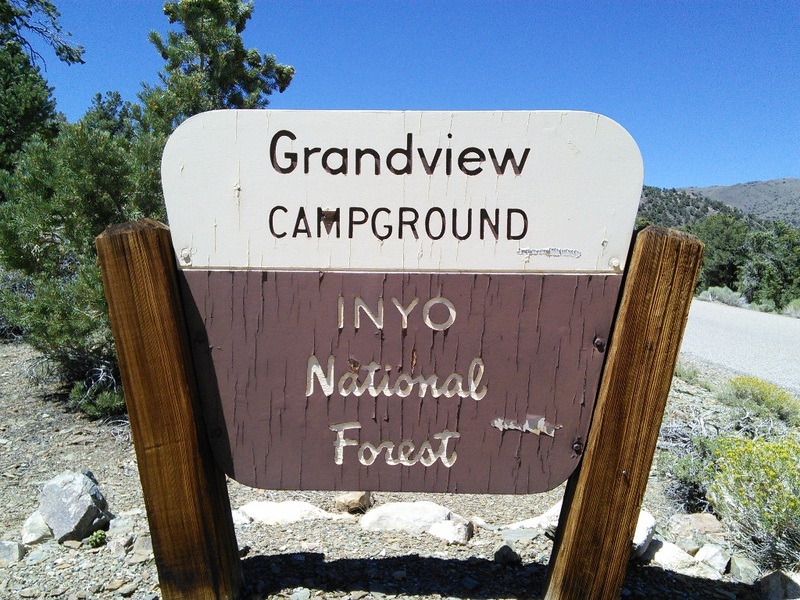 I joined Gary Chock for a visit to The Grandview Campground (GV) in the Inyo-White Mountains, nearby Big Pines in California. 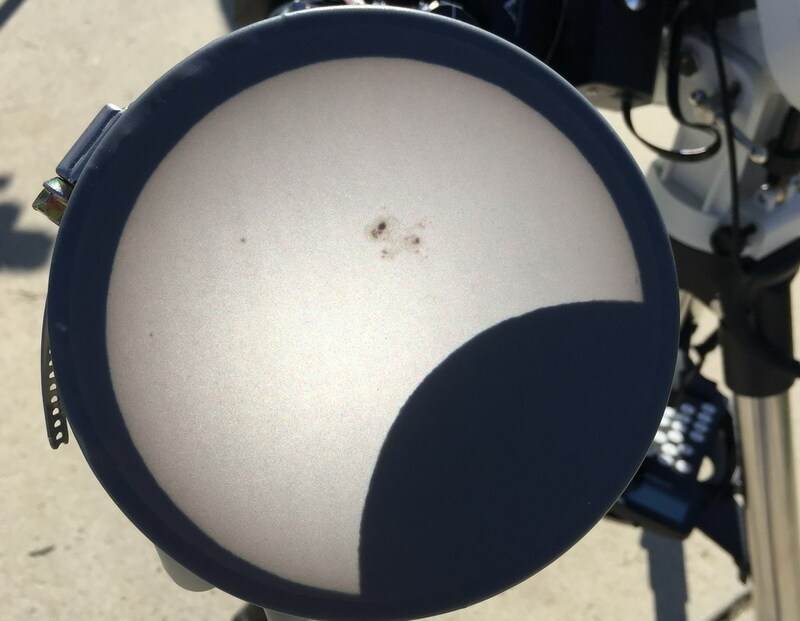 Gary’s comments regarding the seeing/transparency darkness accurately describes just how terrific conditions were for observing. I’ve only been involved in the hobby for just over a year, but the couple of nights we camped were easily the best sessions I have experienced. 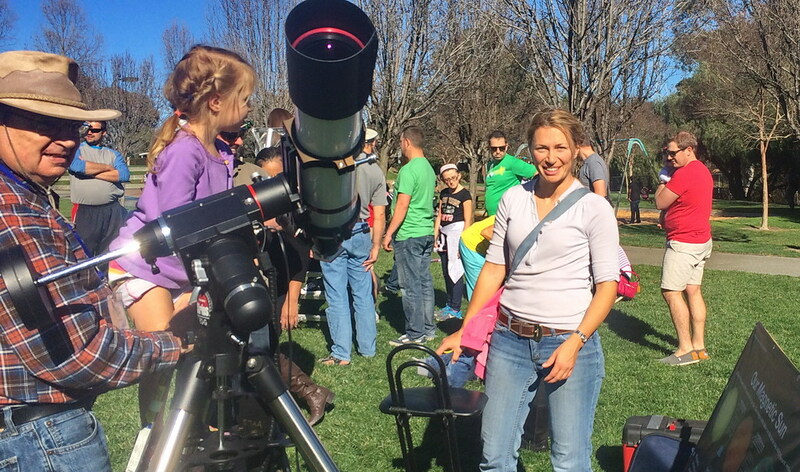 I’m an observational astronomer using a 14″ Orion Dobsonain telescope. I don’t use computer guided tools just a Telrad, 9×50 finder, and usually paper finder charts. Basically, I was able to find everything that I intended to see. The only limiting factor was the fact that I needed to sleep and plus my inexperience at being in a premium dark site. It is hard deciding what to look for when everything seems possible to find. My enthusiasm probably caused me to waste some time and energy because I found myself swooping from one side of the sky to the other, feasting on eye-candy, rather than honing in on a particular location. To describe the conditions I will elaborate on one object. Just about every astronomy book points out the Whirlpool Galaxy, M51, as being “bright” and “spectacular”. To me this has been a source of frustration, and even a minor disappointment, since it is invisible from my driveway in San Jose. At our local, semi-dark sites (Mendoza Ranch or RCDO) M51 is readily available and appears to be a low-contrast, lop-sided figure-eight. 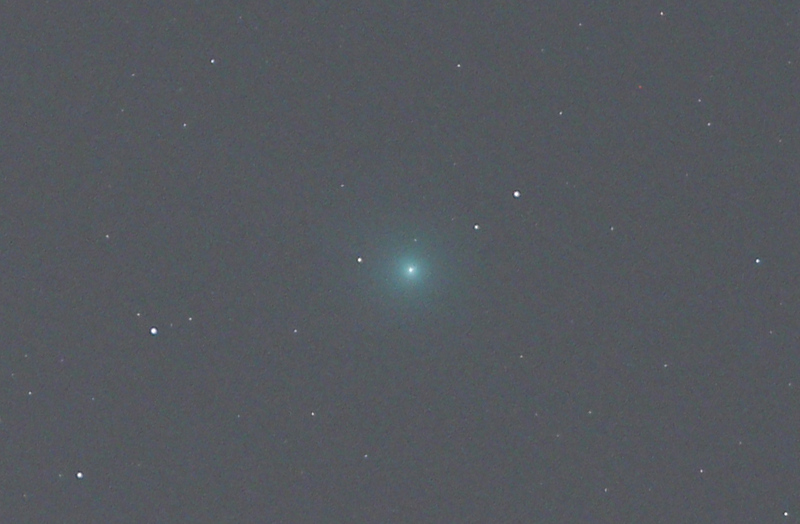 It is brighter and larger but still a “faint fuzzy” without detail. At the Grandview, however, (~165x) I could see its spiraling arms and I didn’t really need to use averted vision! Very cool and yes, spectacular. In fact, and this could be from the delirium of lack of sleep, I thought I saw M51, naked-eye, as a fuzzy, dim star. This trip was actually my second time to the White Mountains. Last August, during the Perseids, I spent a night at the Patriach Grove, one of the areas where the amazing Bristle Cone Pines grow. (FYI camping is not allowed at the Patriarch Grove.) It is just a few miles away from the Grandview Campground but at 11,000 feet. 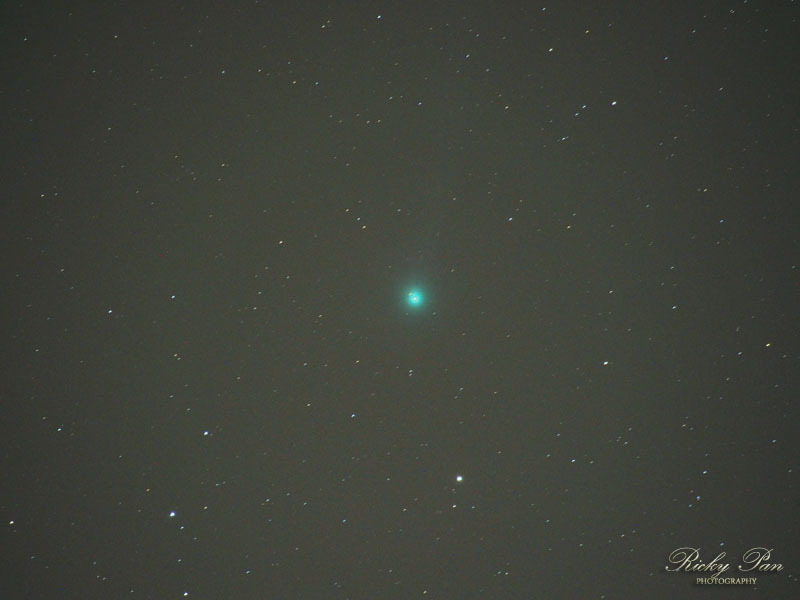 Again, observing conditions were fantastic, but I didn’t bring enough warm clothing and spent most of the night, uncomfortably cold in my car. If you intend to go the Inyo-White Mountains be prepared for extreme cold and heat. But also be prepared for extreme natural beauty. Even if you encounter the misfortune of a cloudy night, you will still be in one of the most spectacular landscapes on earth. 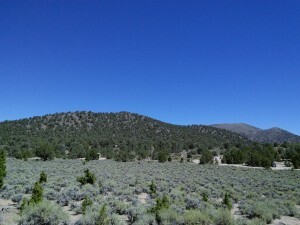 The view of the Eastern Sierra peaks, rising upwards of 10,000 feet from Owens Valley is absolutely magnificent. Aside from the great astronomy, there is fantastic hiking, birding, fishing, geology, and even archeology to experience in the Eastern Sierras. 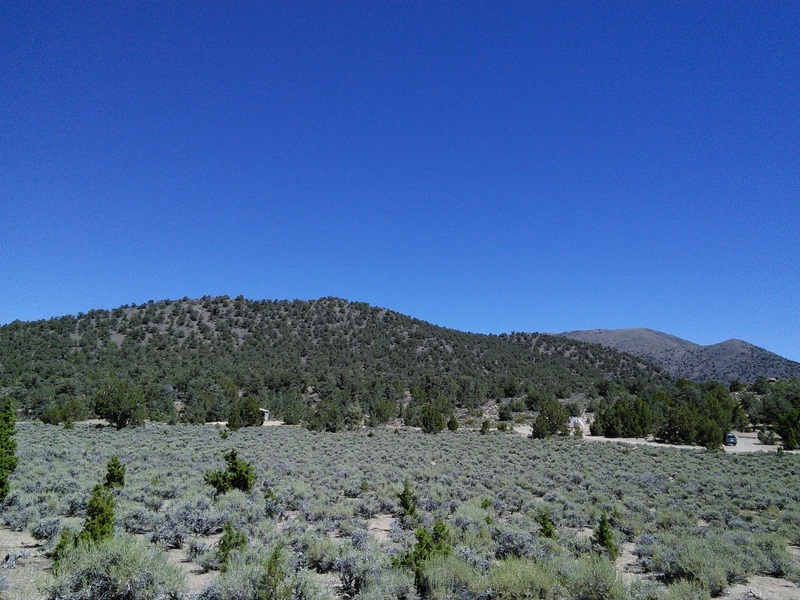 It is only about eight hours away from San Jose and plus you’ll have the pleasure of driving through the backcounty of Yosemite National Park and seeing Mono Lake. Furthermore, this area is vast. 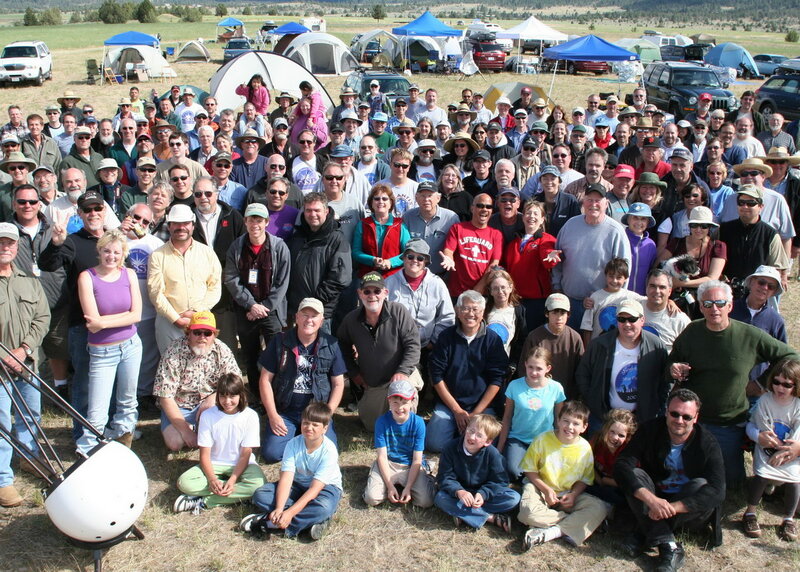 Finding a campsite or lodging is very easy compared to Yosemite. 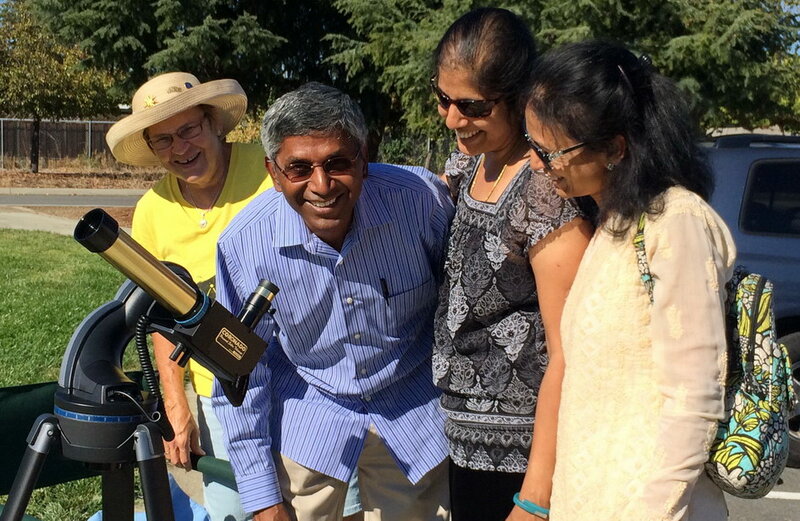 Editor’s Note: Documenting your visits to dark sky sites or any other astronomy related place is a good way to help you remember your visit, as well as help you develop your observing skills. Just as writing and rewriting your class notes in college in itself helped you study and master the material, writing and keeping notes of trips helps you become a better visual observer. 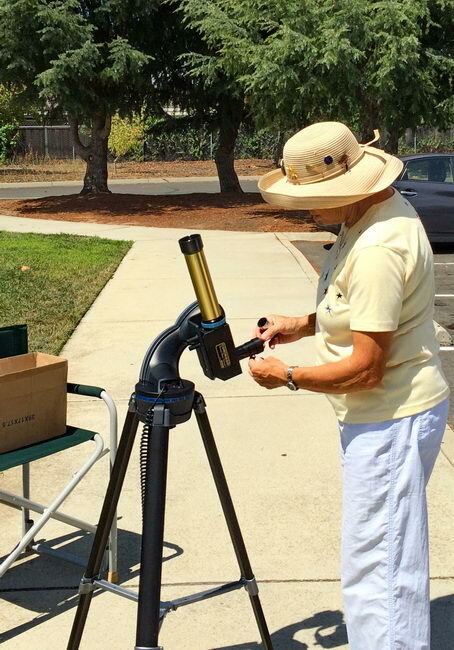 Please consider submitting any site notes or observing reports to the SJAA for posting on the blog or for publishing in the newsletter, The Ephemeris. You’ll be glad you did! 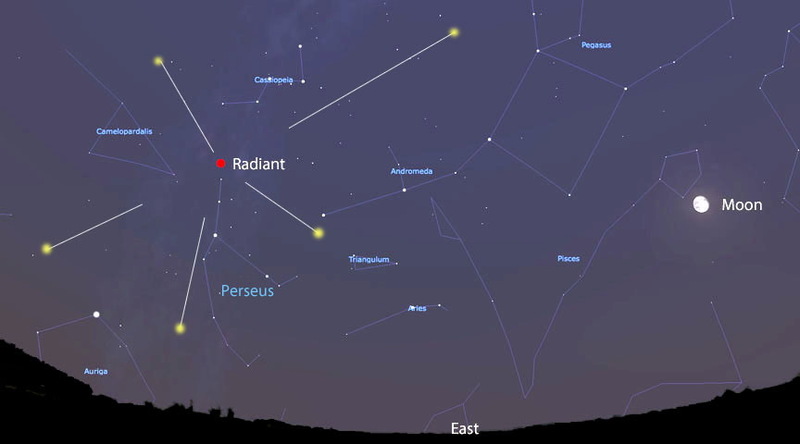 Fear Not the Moon, Perseids Always a Great Show so look for it this weak starting now.